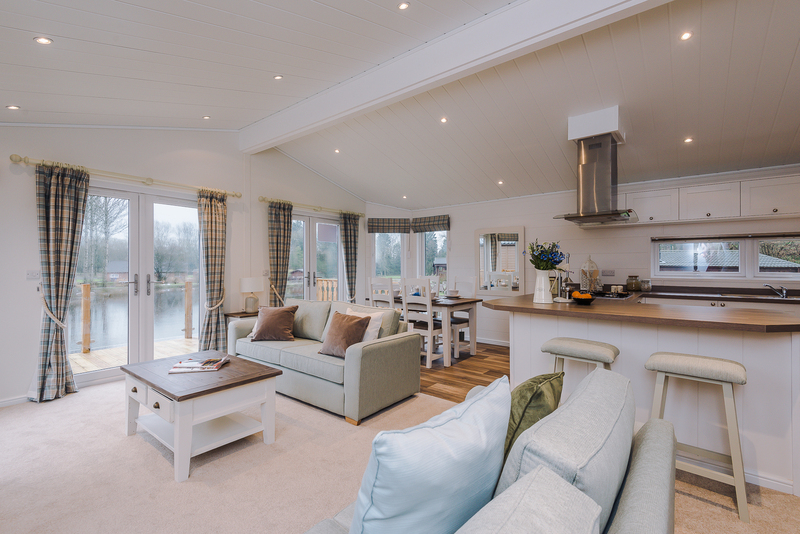 A luxurious lodge holiday in the countryside is a great way to relax and spend some quality time with your nearest and dearest. 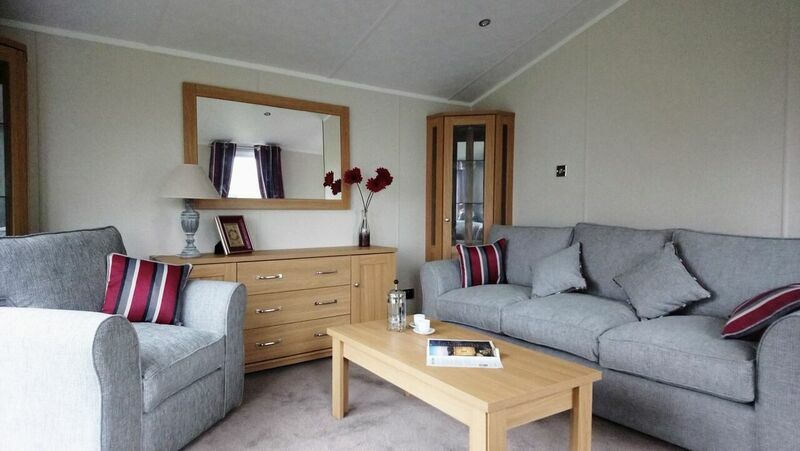 Sounds nice, doesn’t it? 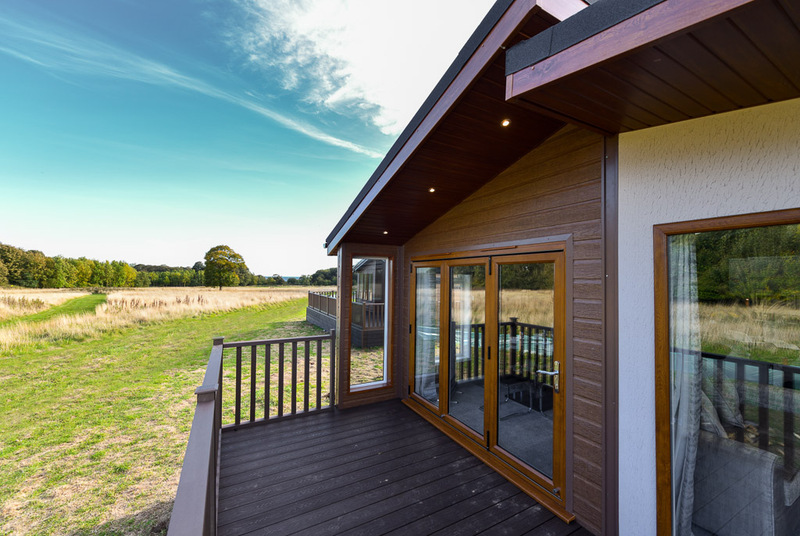 We have several lodge styles and sizes for you to choose from, so you can pick the one that’s perfect for your party. 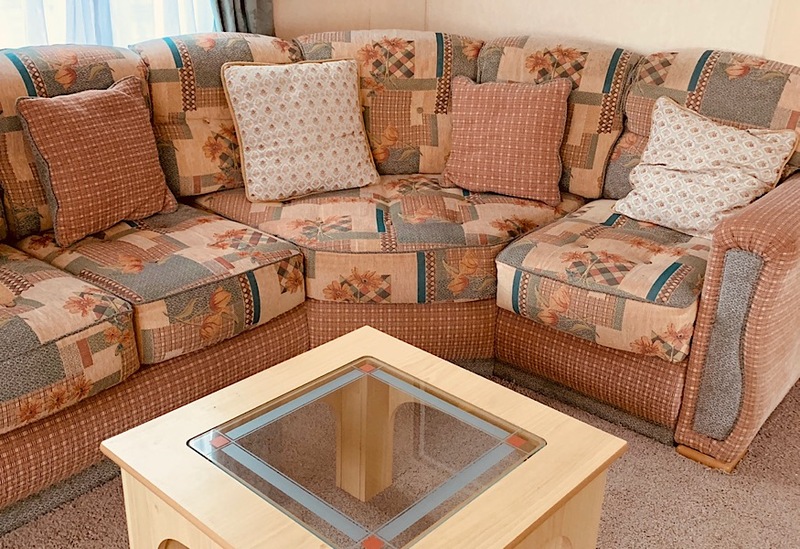 We want you to truly make yourself at home while you’re here. 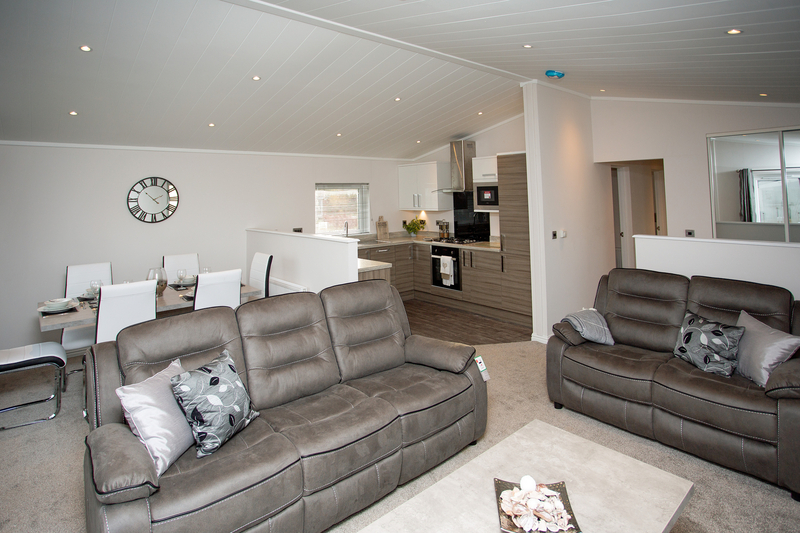 New – Holidays that offer even more! 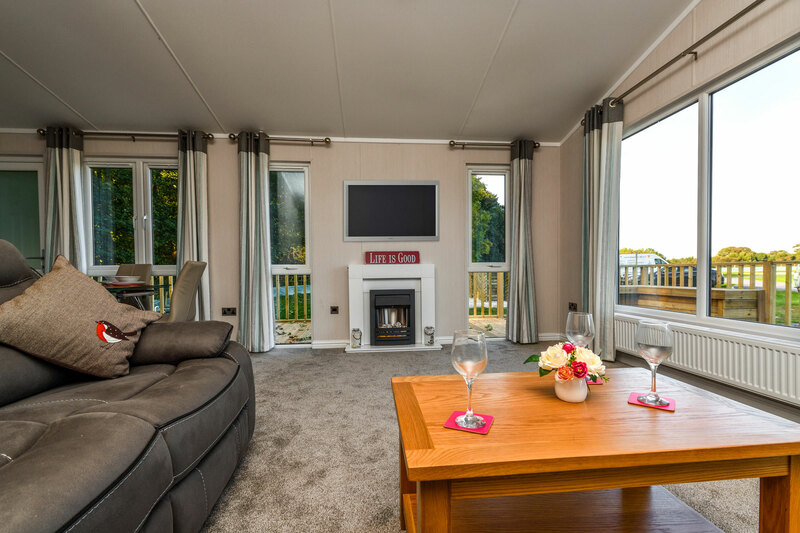 Our holiday accommodation packages now offer even more; including early arrivals and leisure passes for the whole family – making planning your perfect escape even easier! 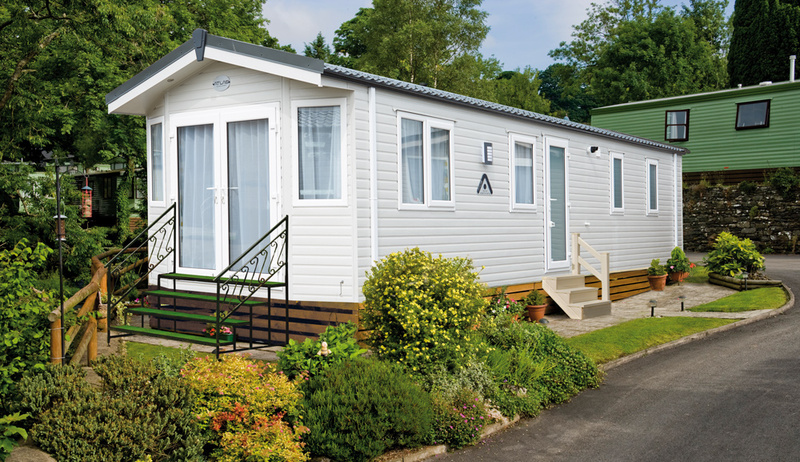 Take a look at the information below. 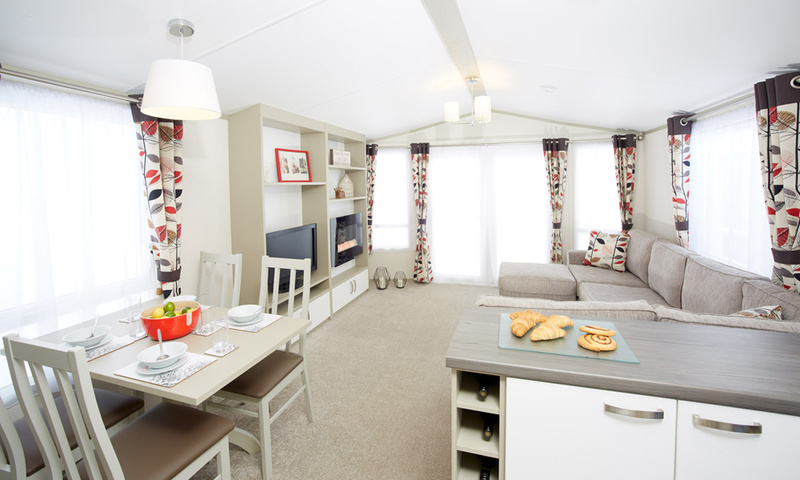 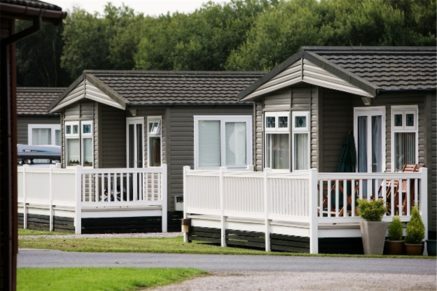 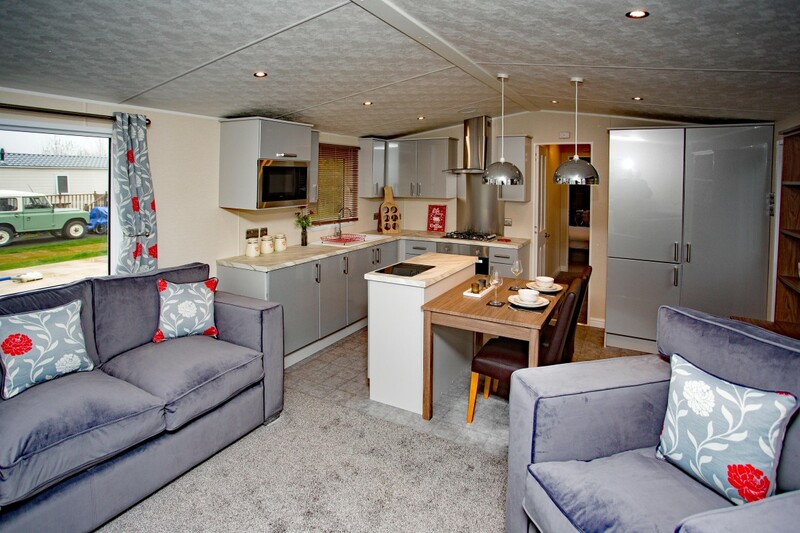 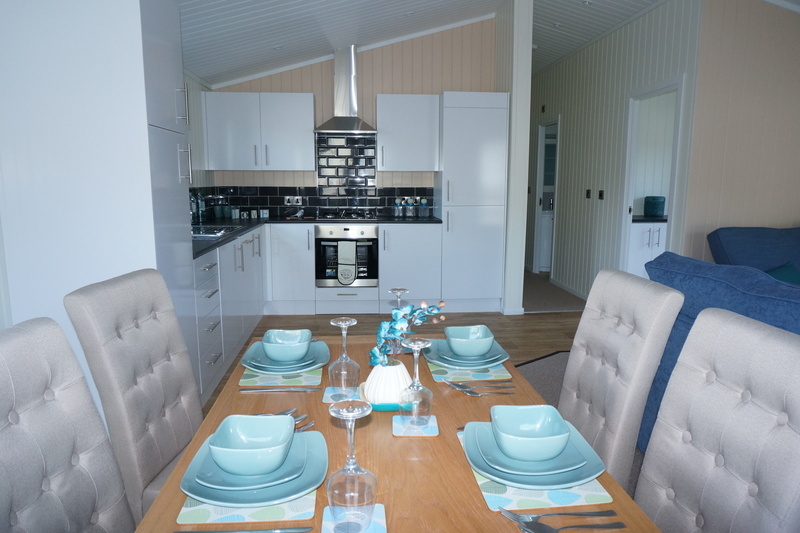 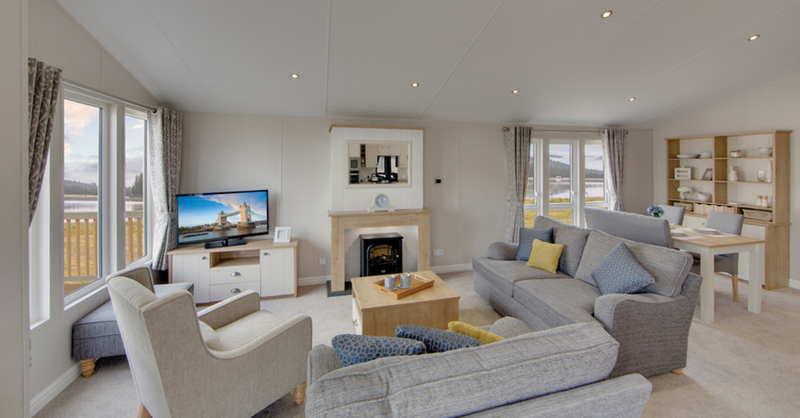 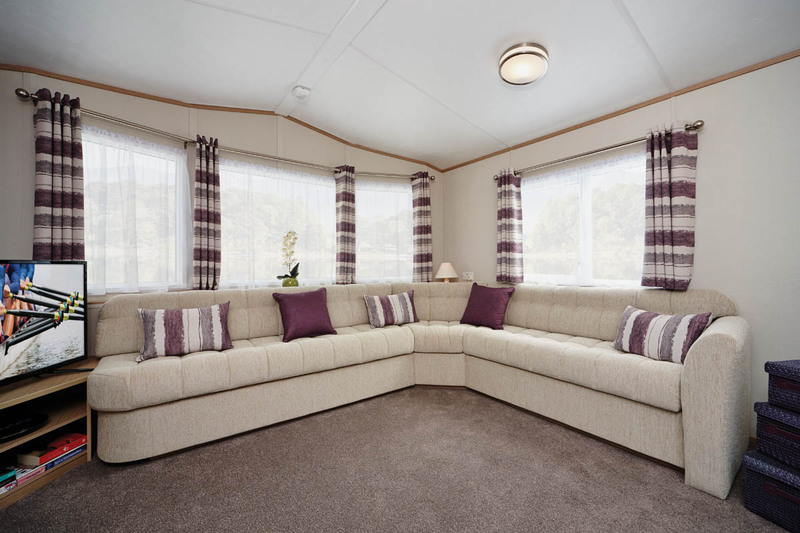 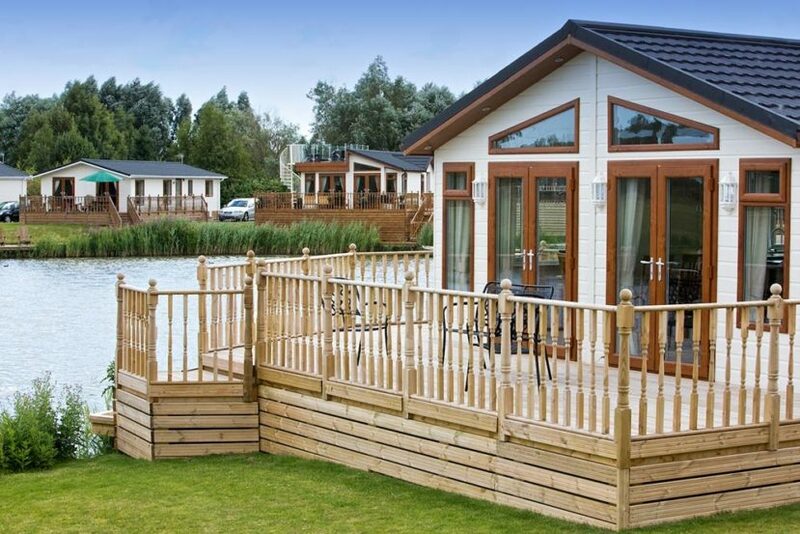 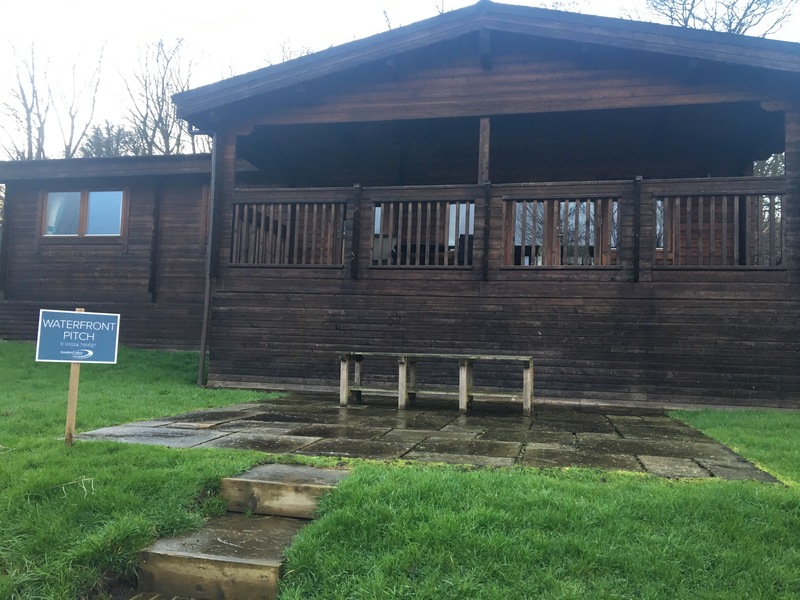 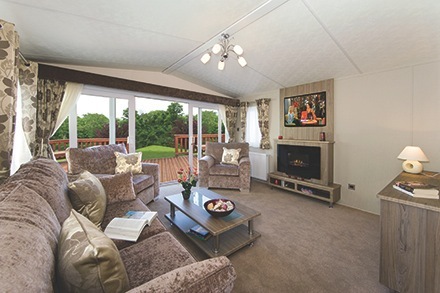 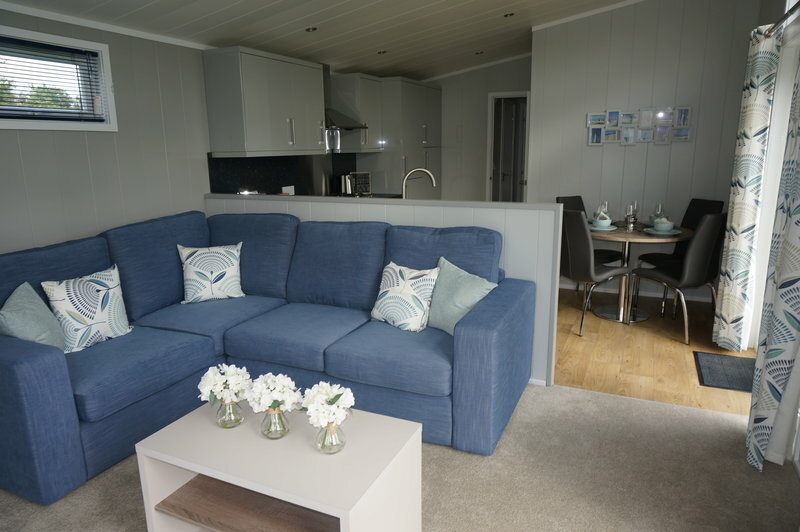 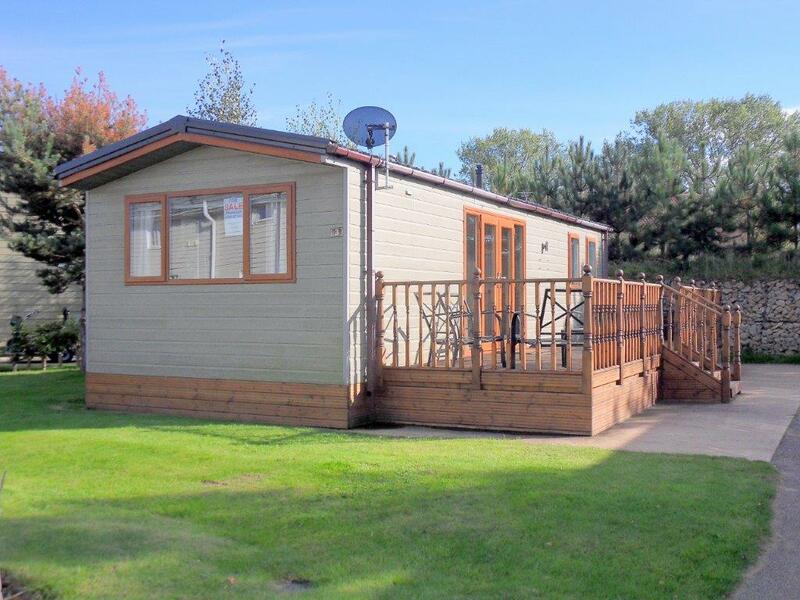 Our classic lodges are compact and comfortable whilst offering good value for money. 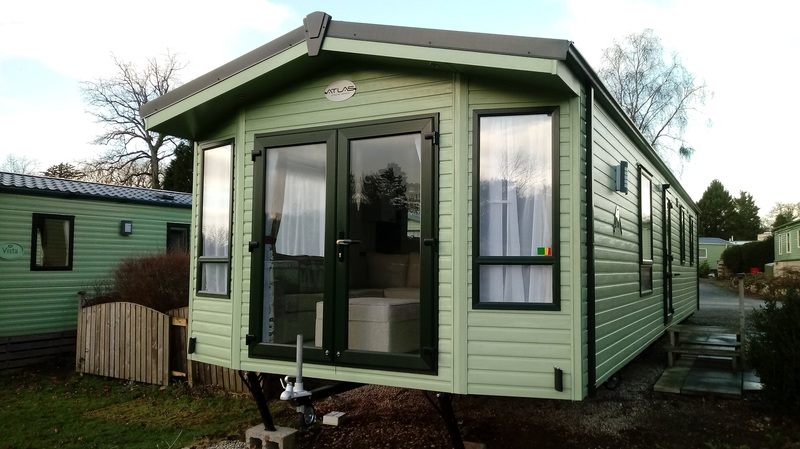 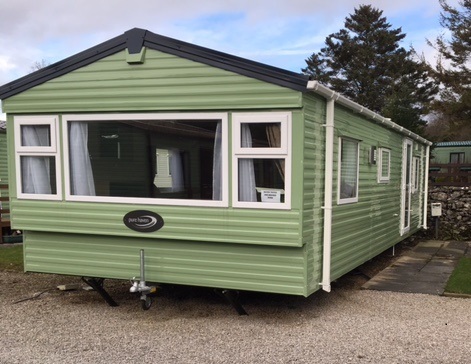 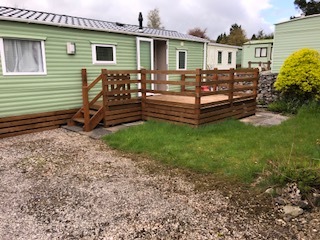 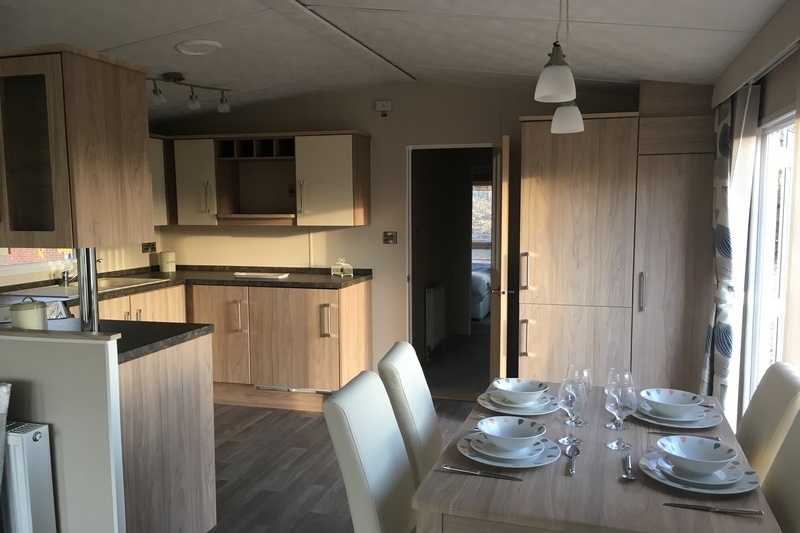 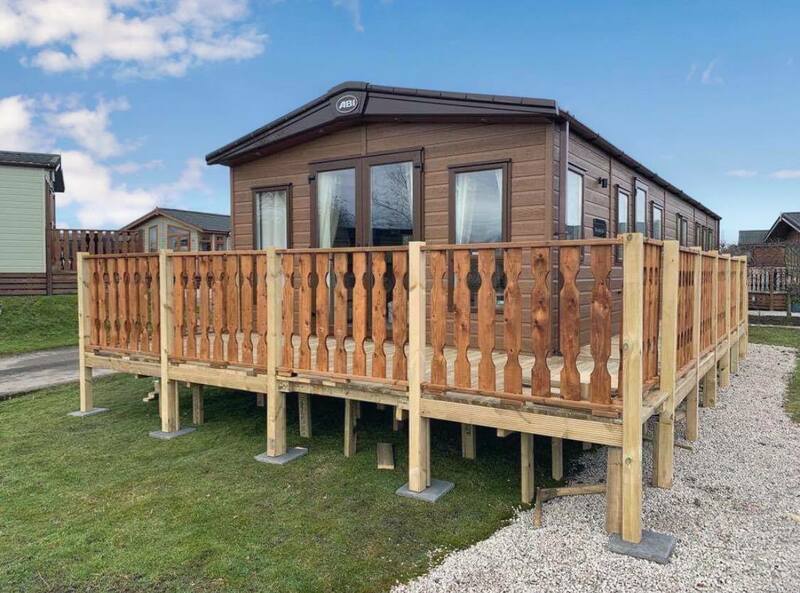 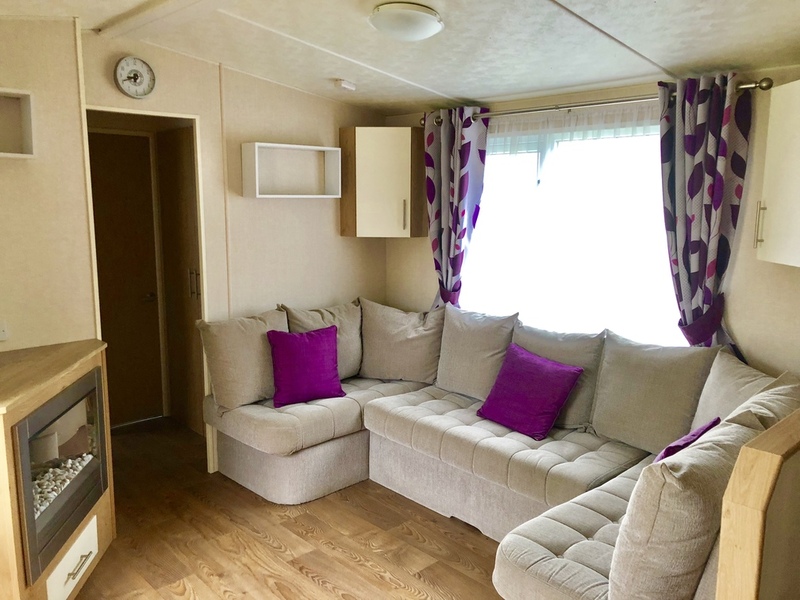 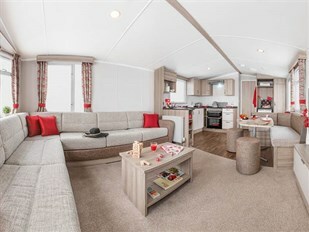 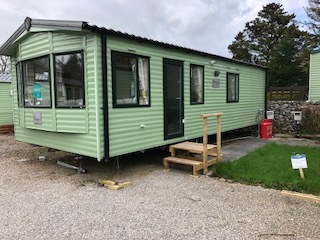 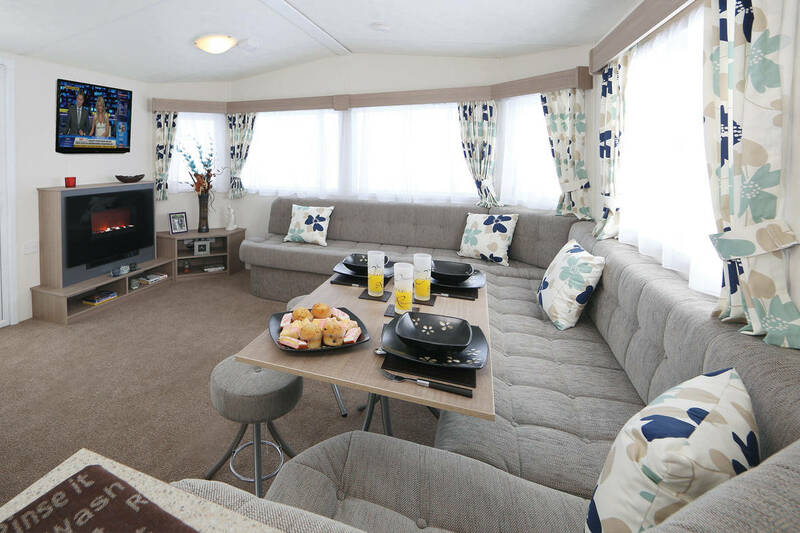 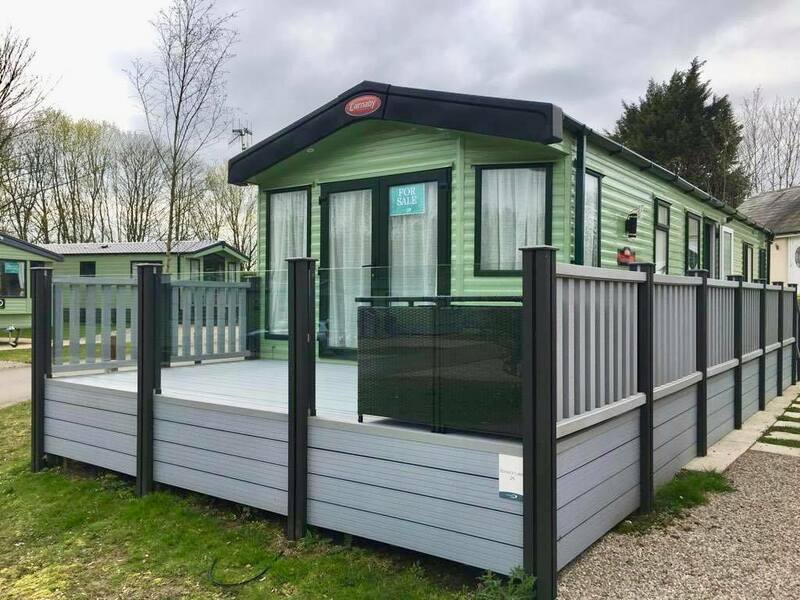 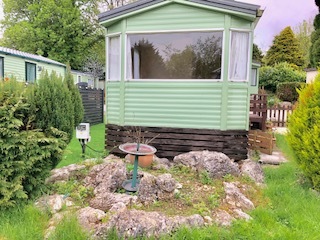 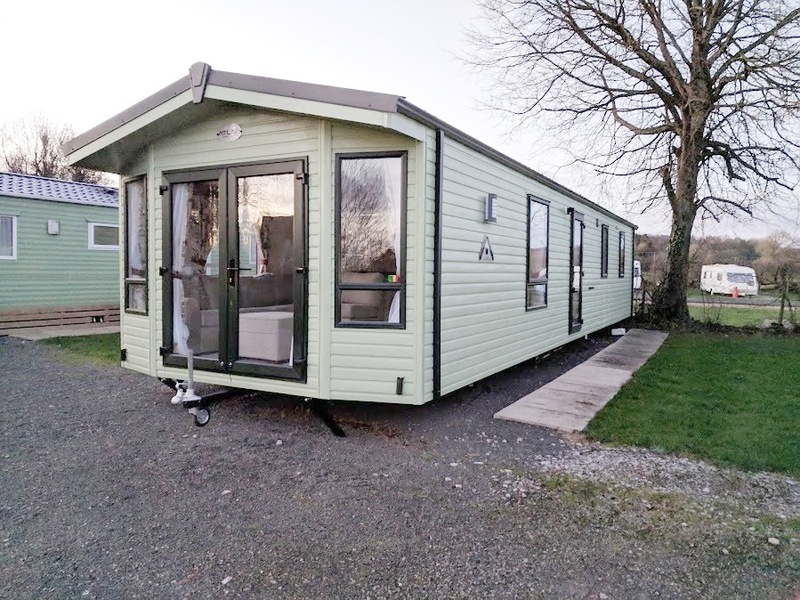 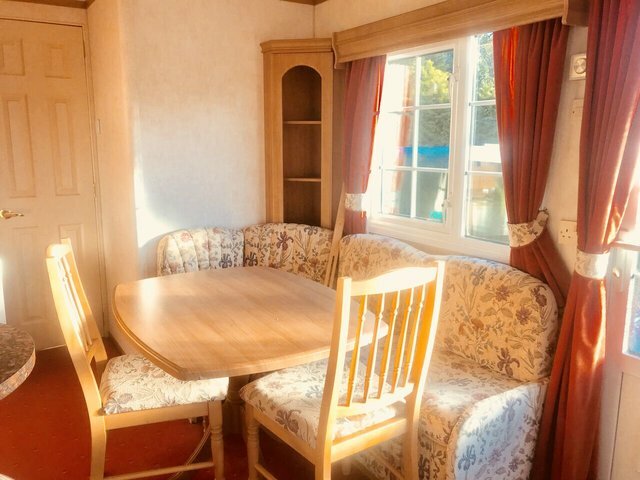 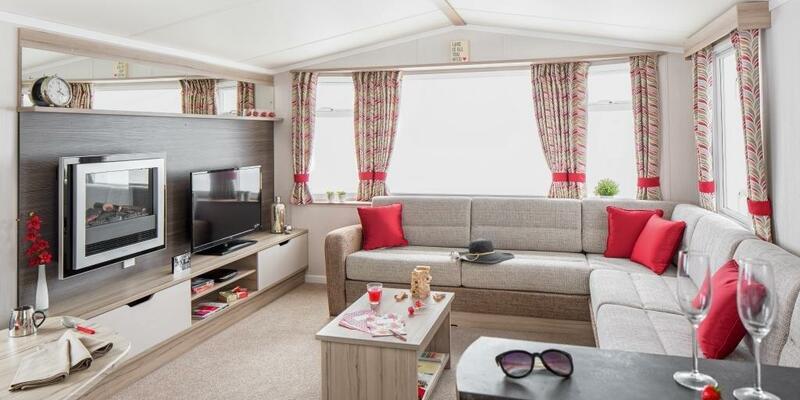 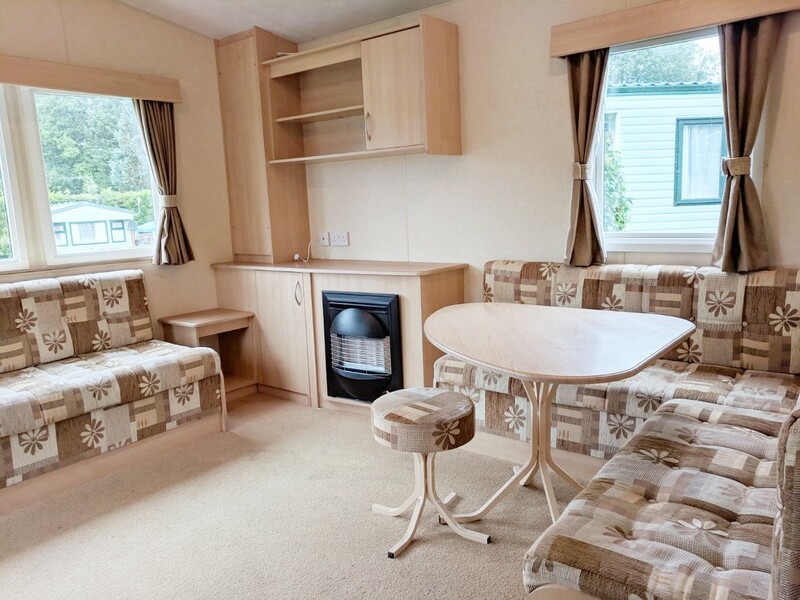 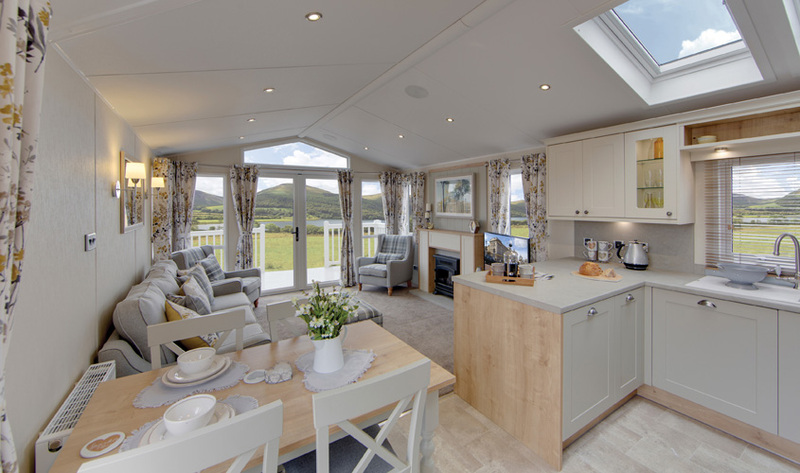 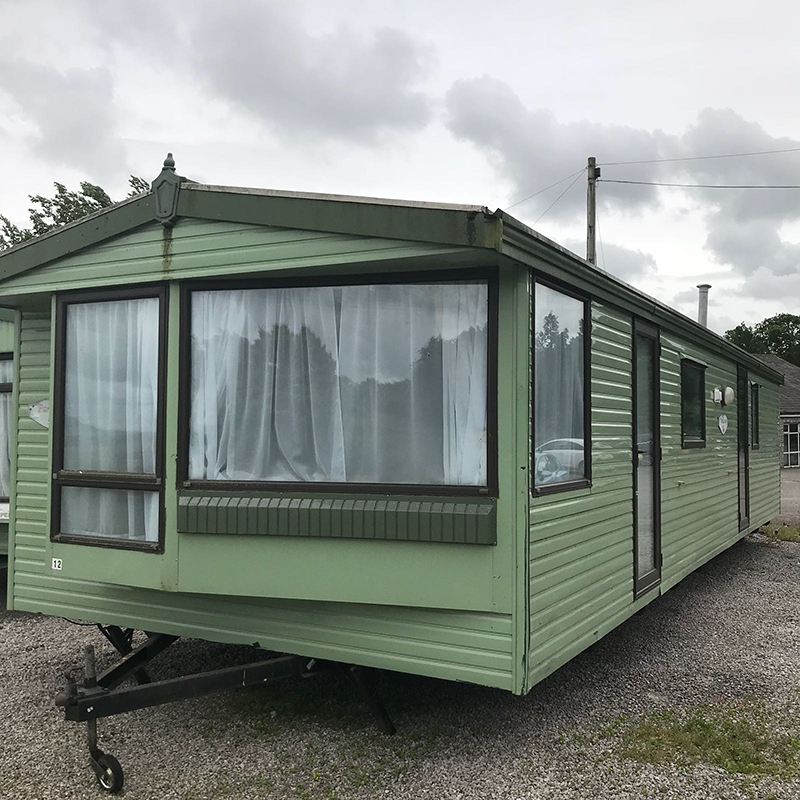 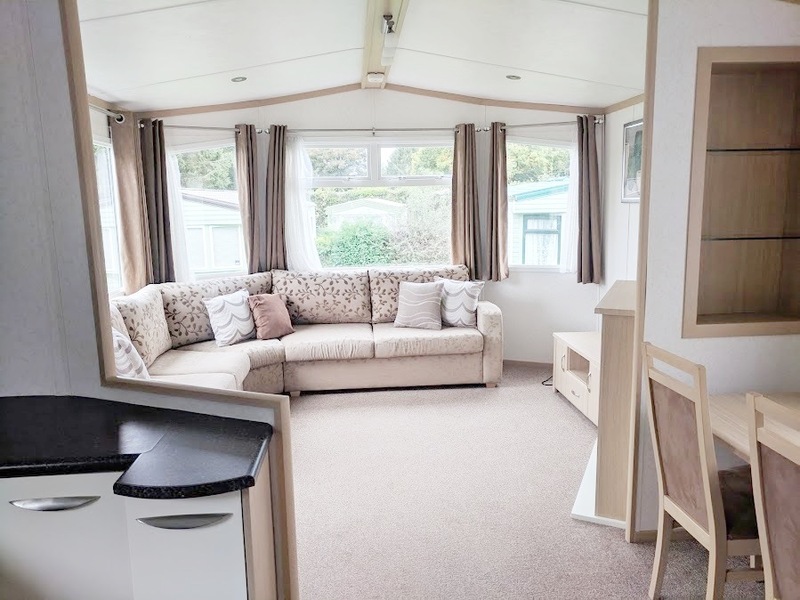 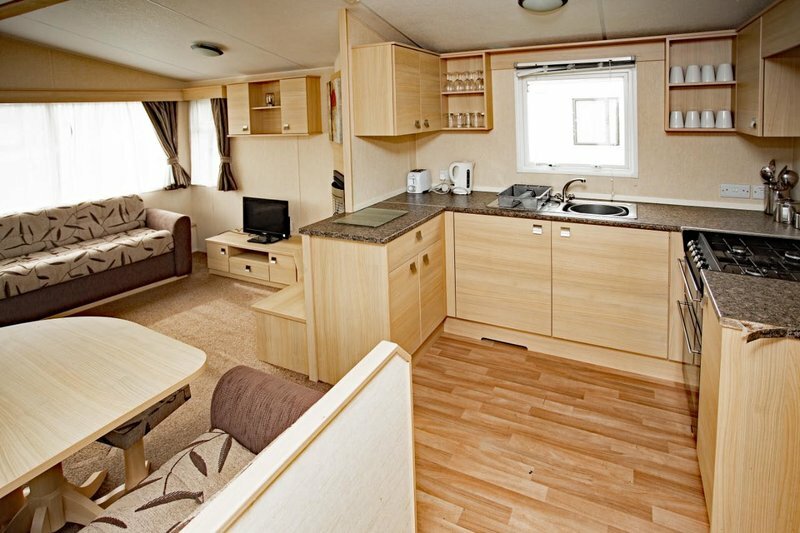 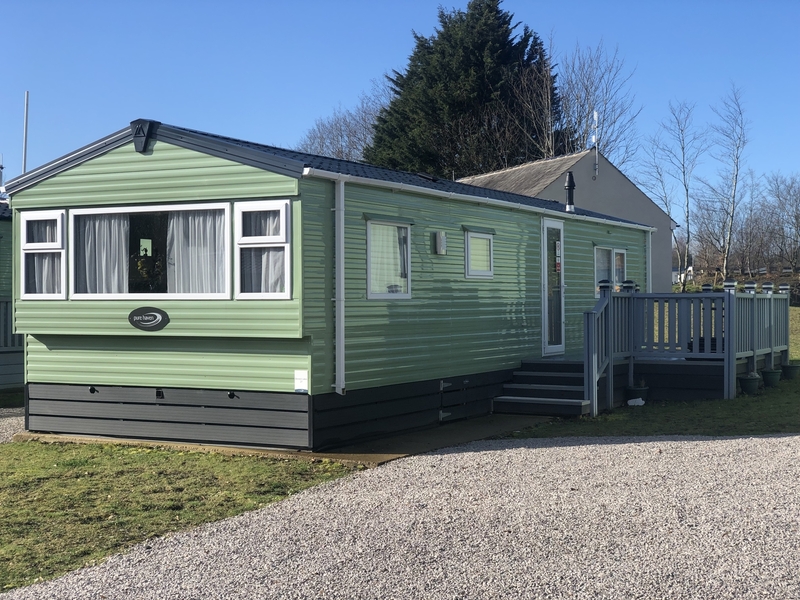 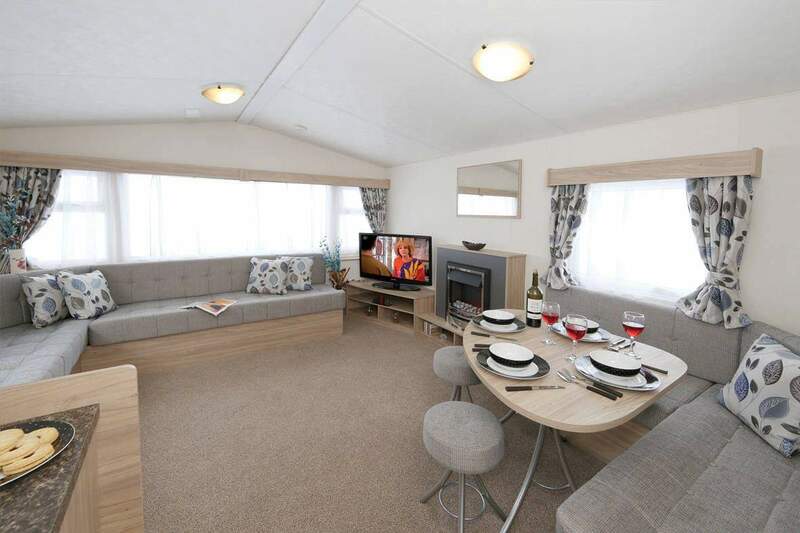 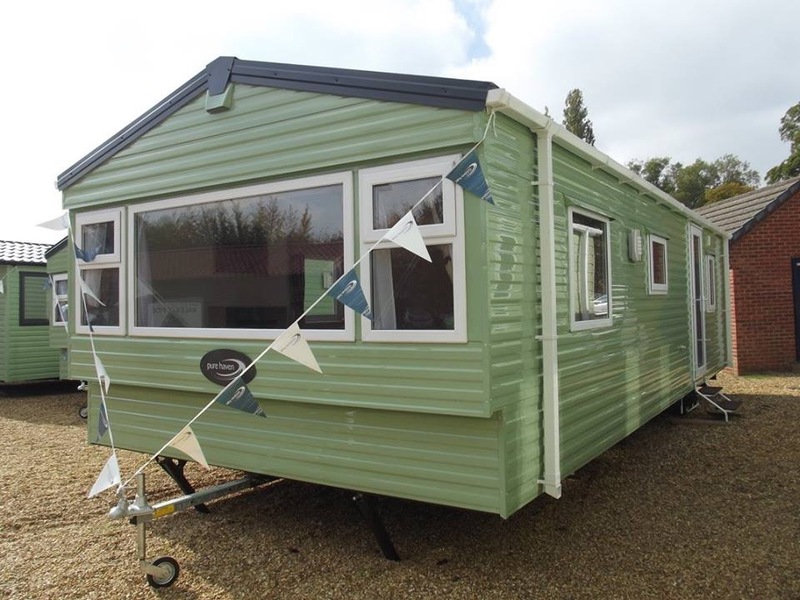 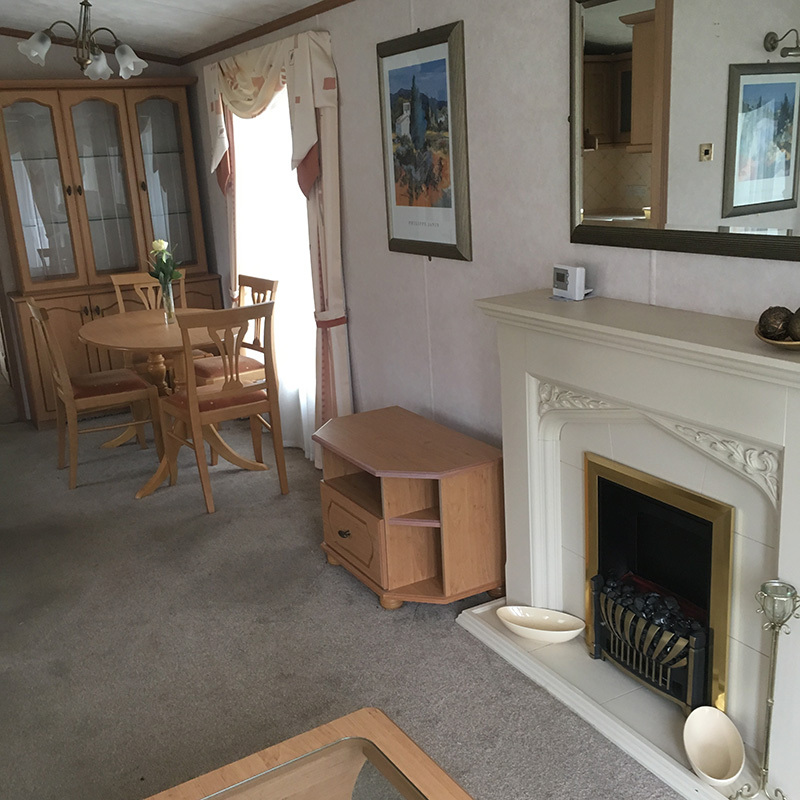 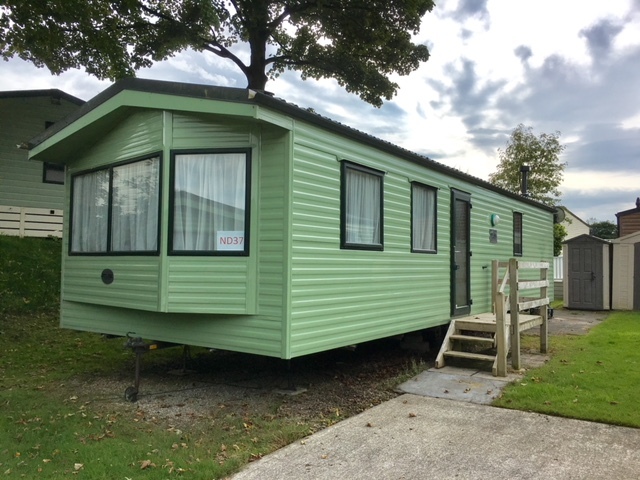 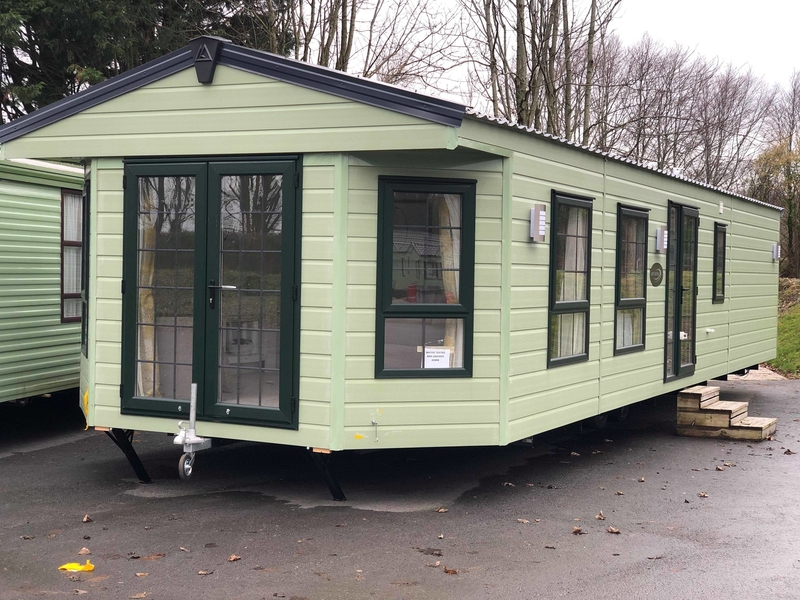 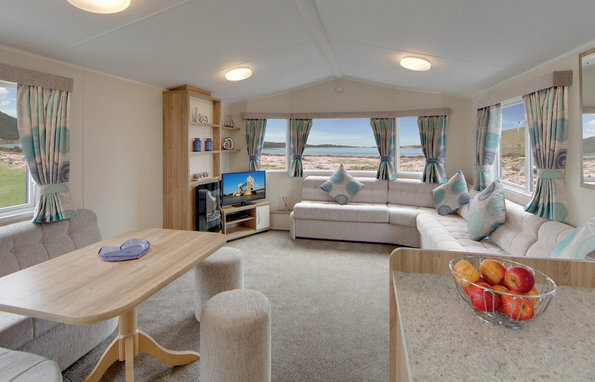 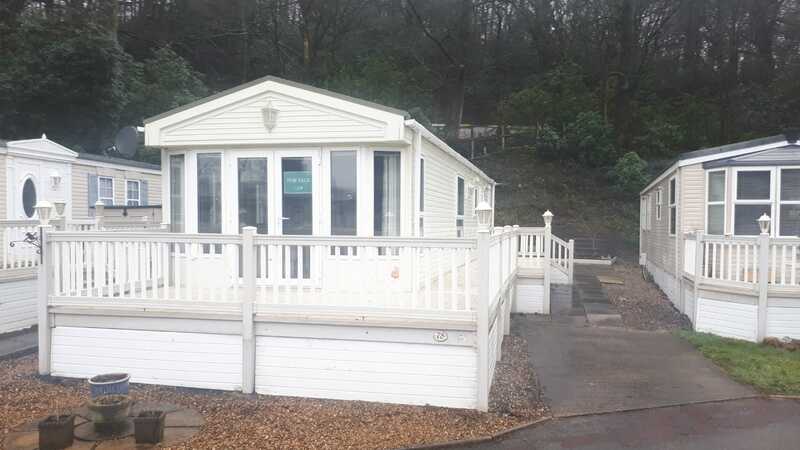 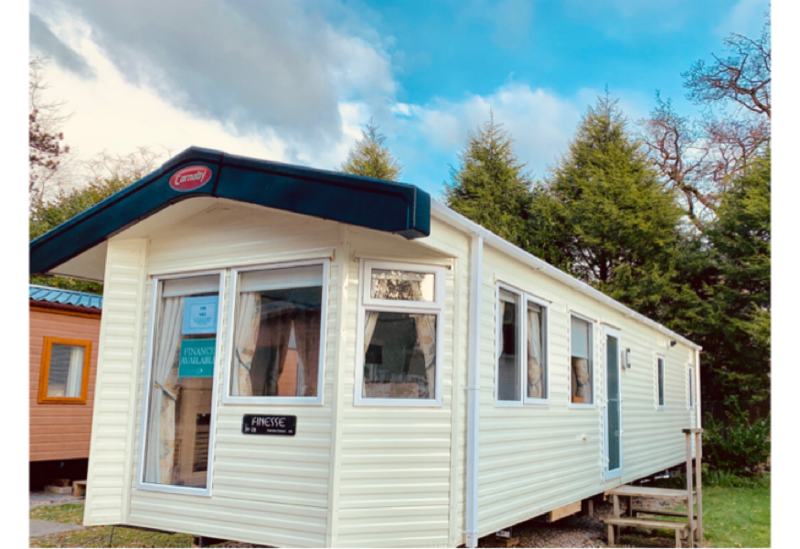 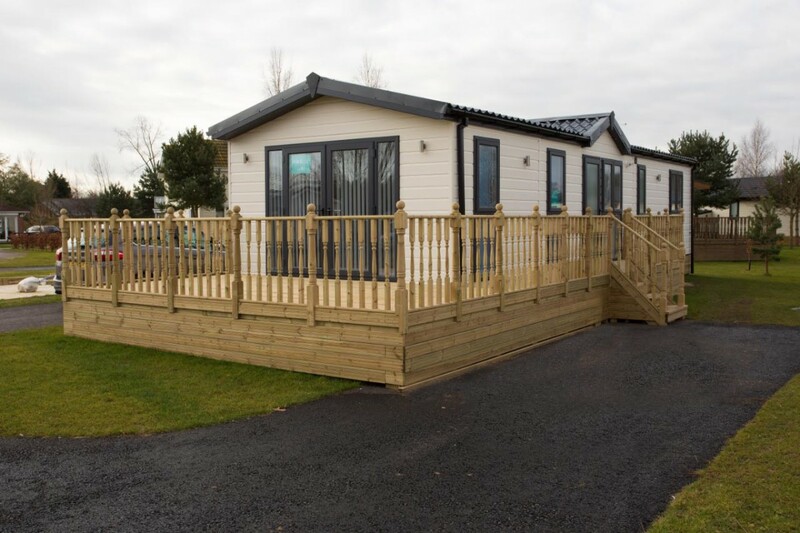 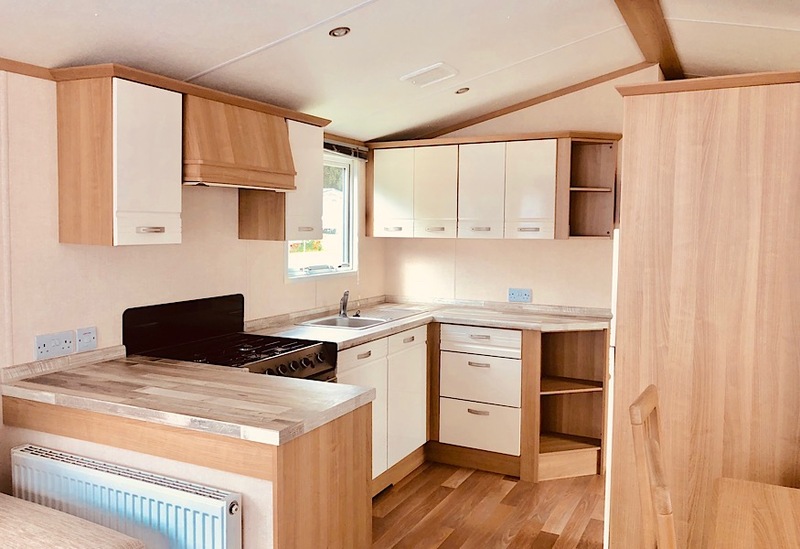 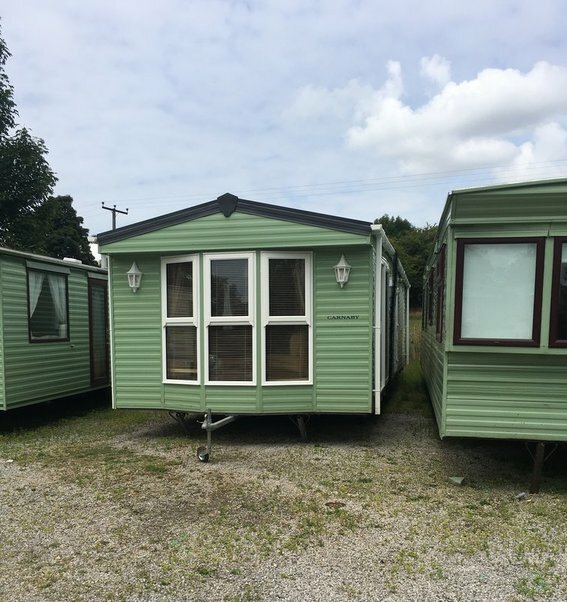 With the addition of your own outdoor decking area and fully equipped with fridge, freezer, tv and panel heaters throughout they are a great base from which to enjoy your holiday. 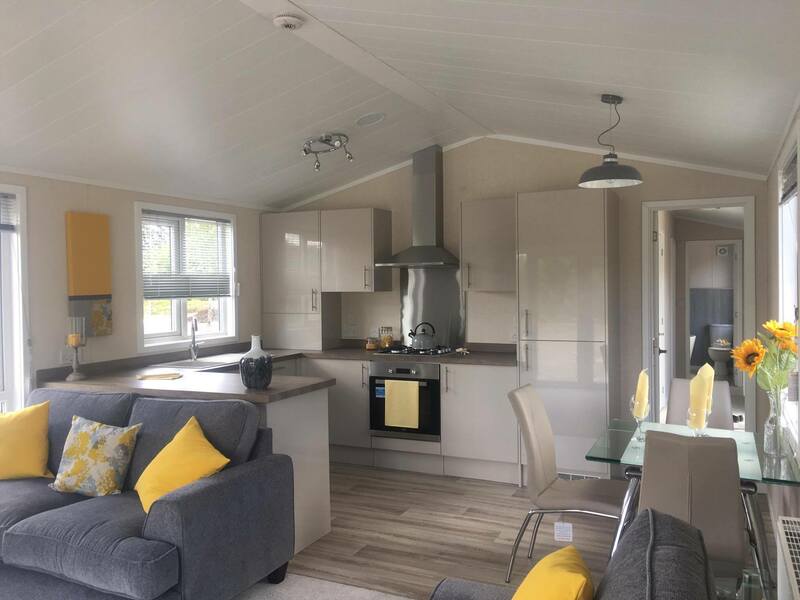 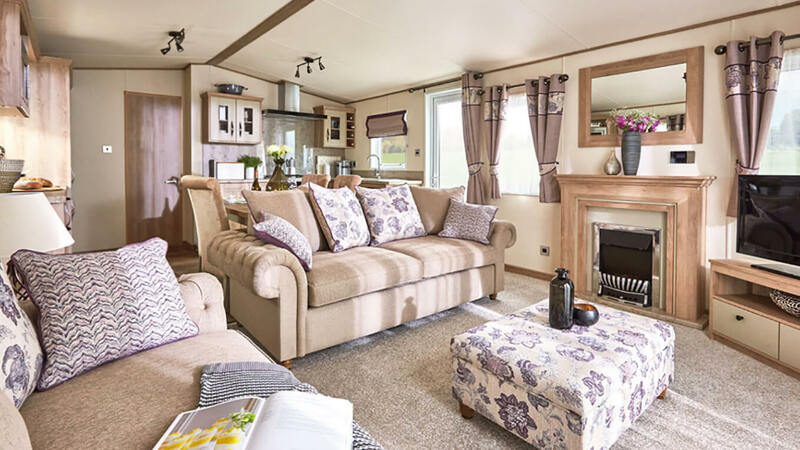 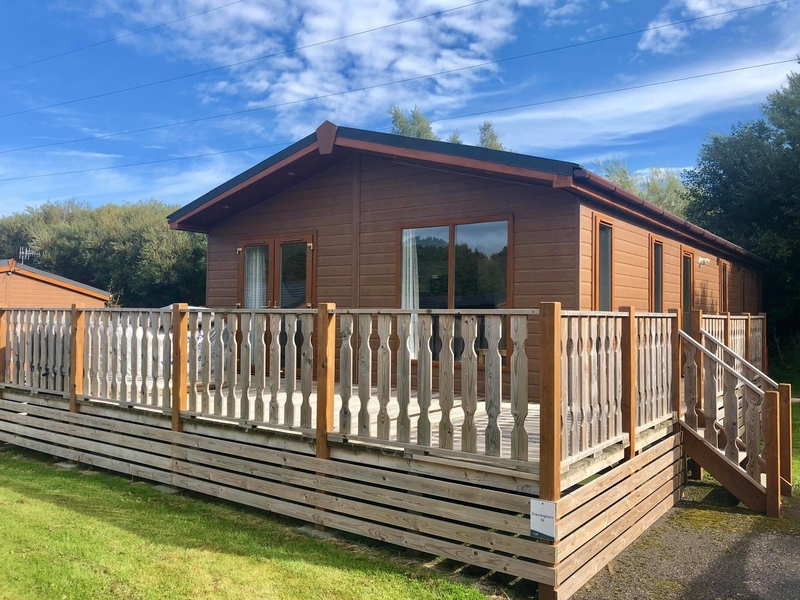 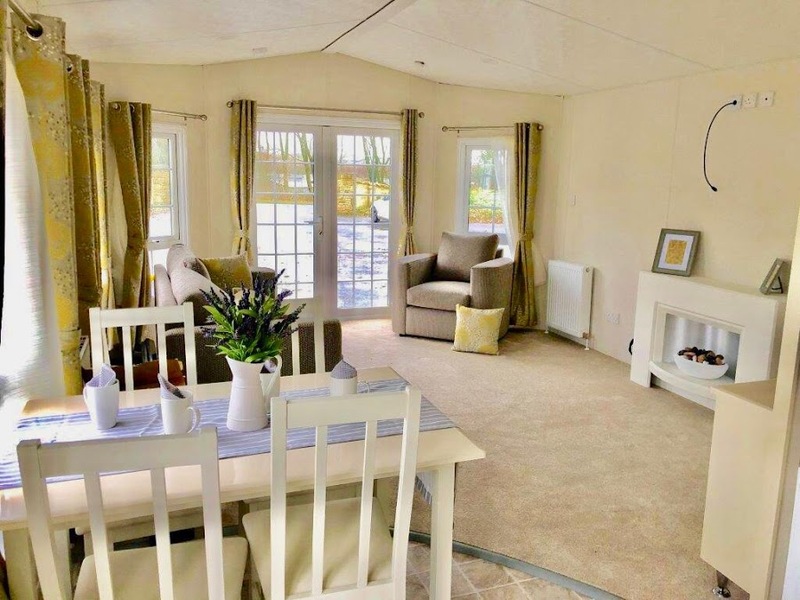 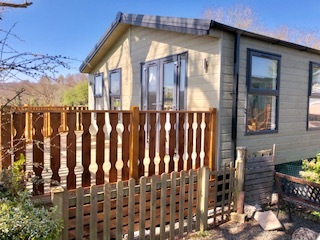 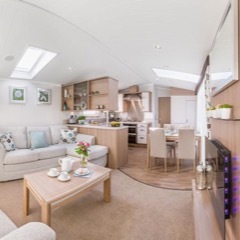 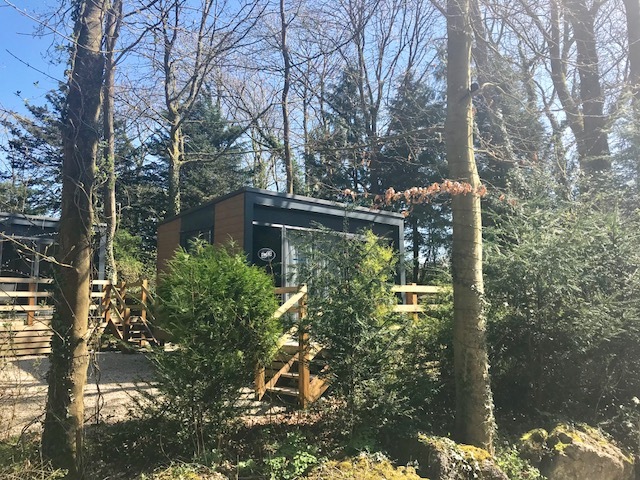 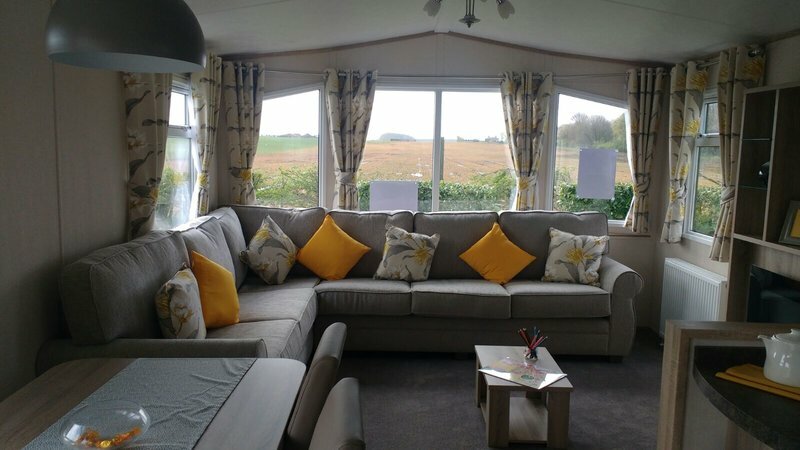 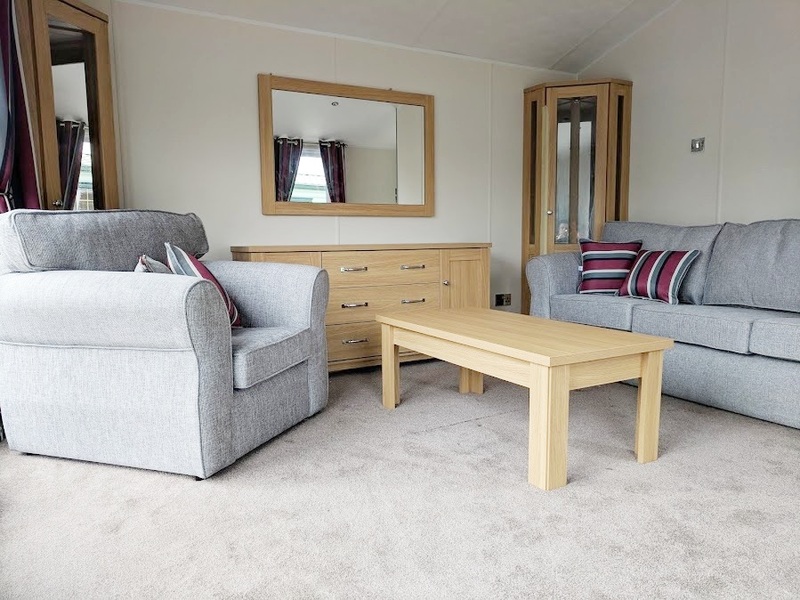 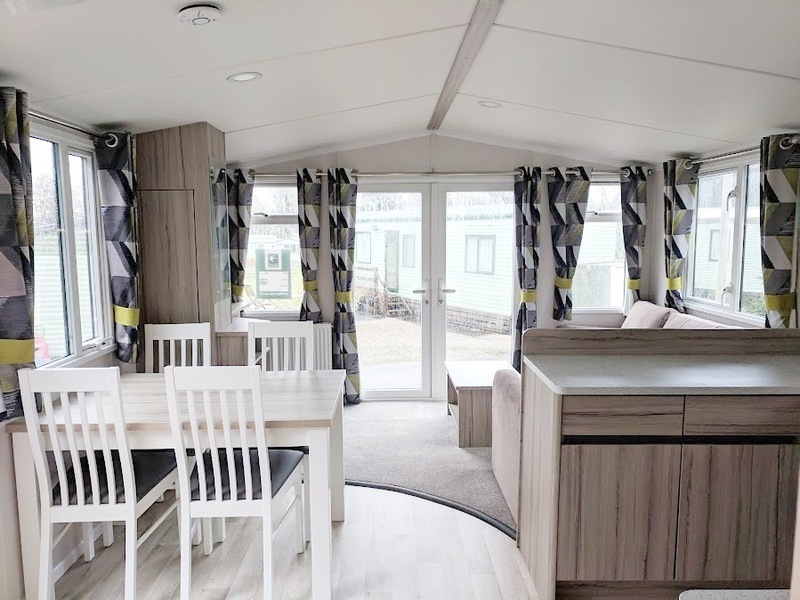 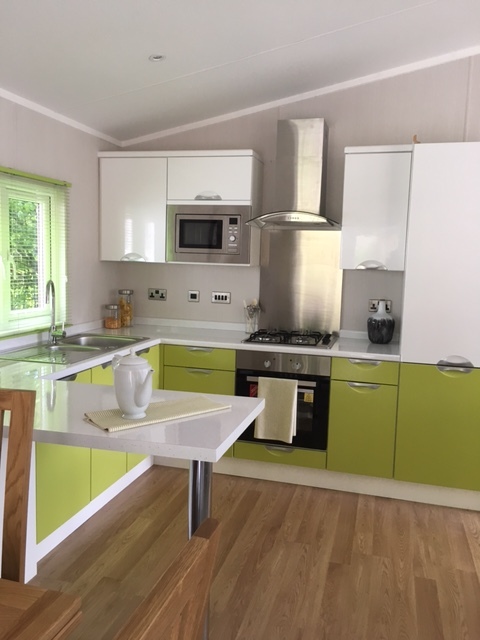 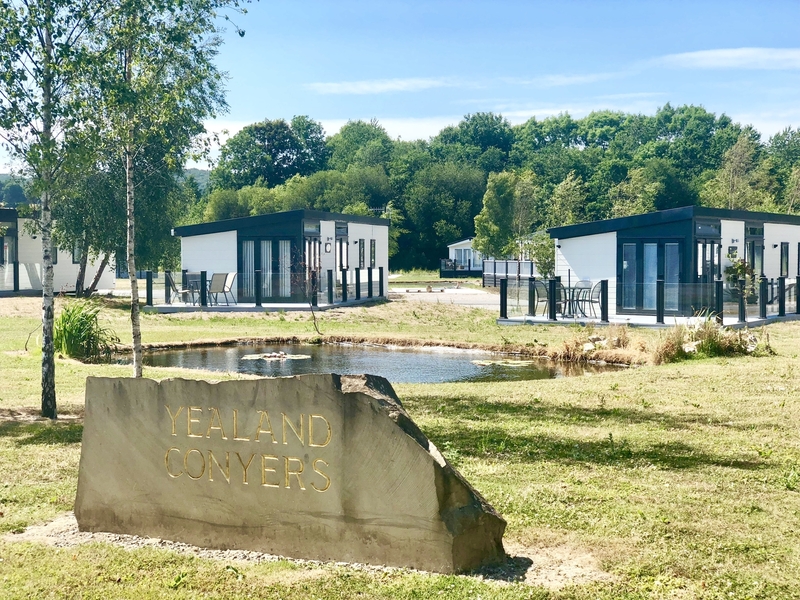 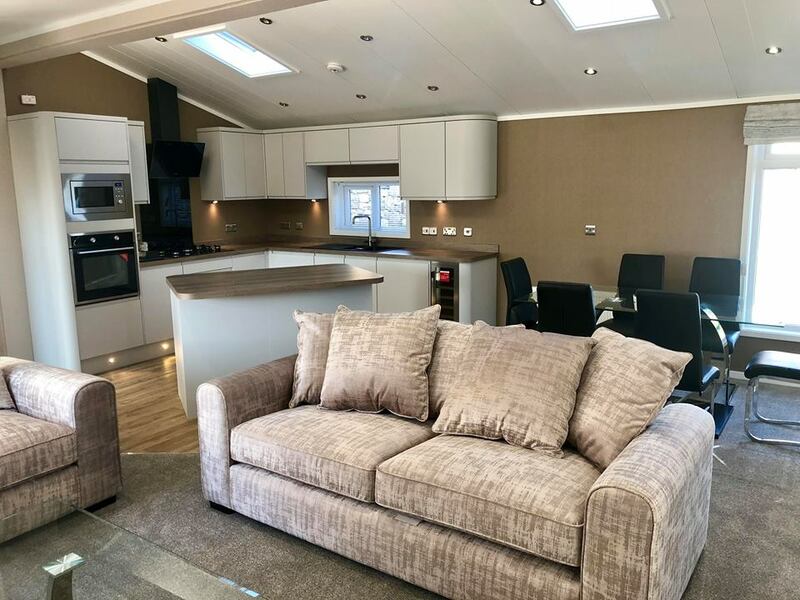 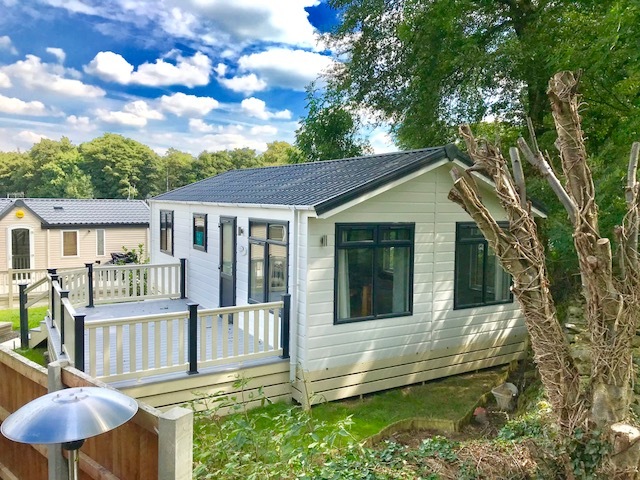 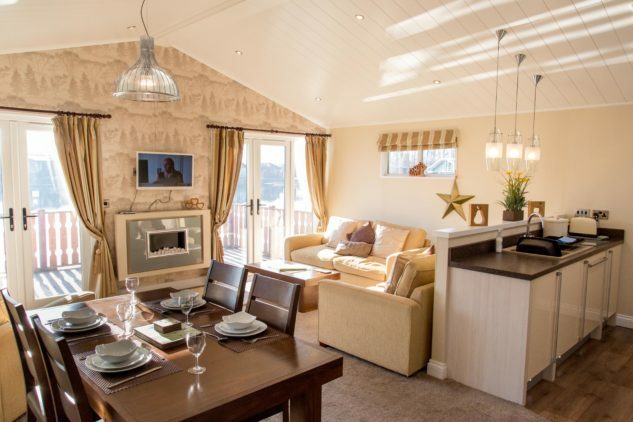 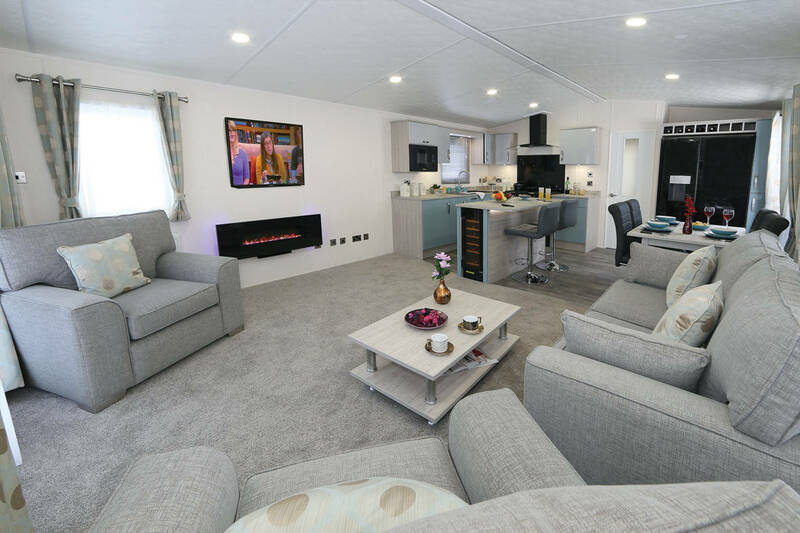 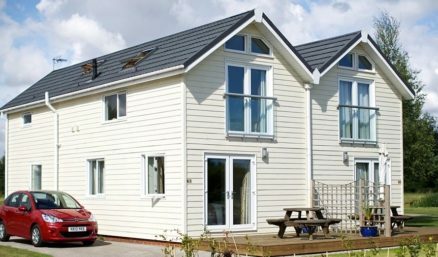 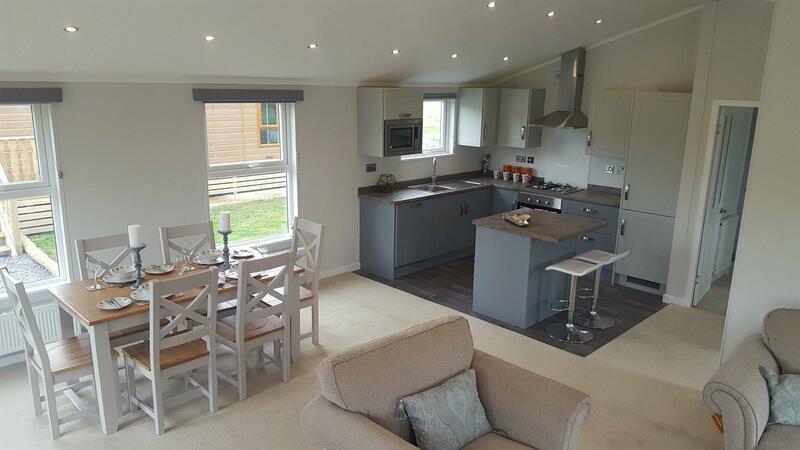 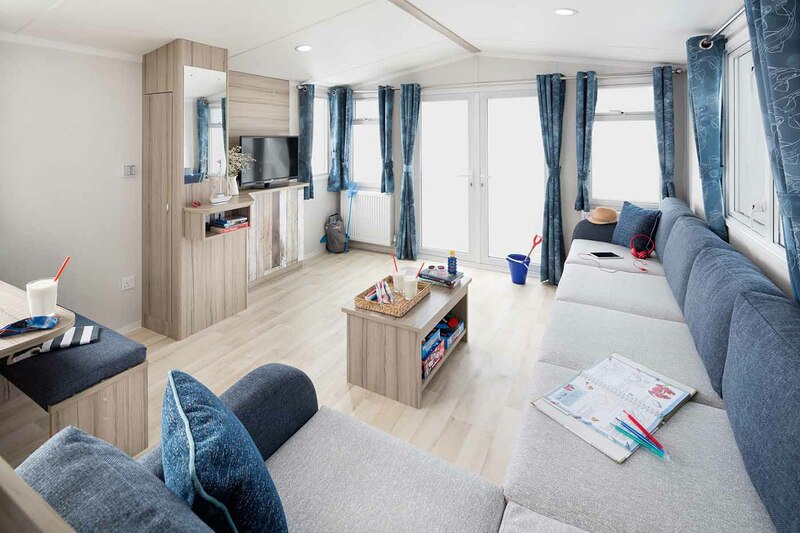 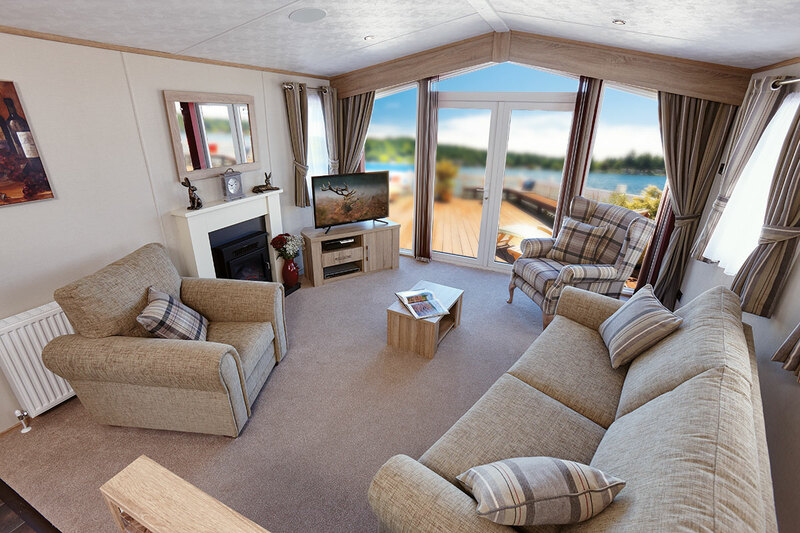 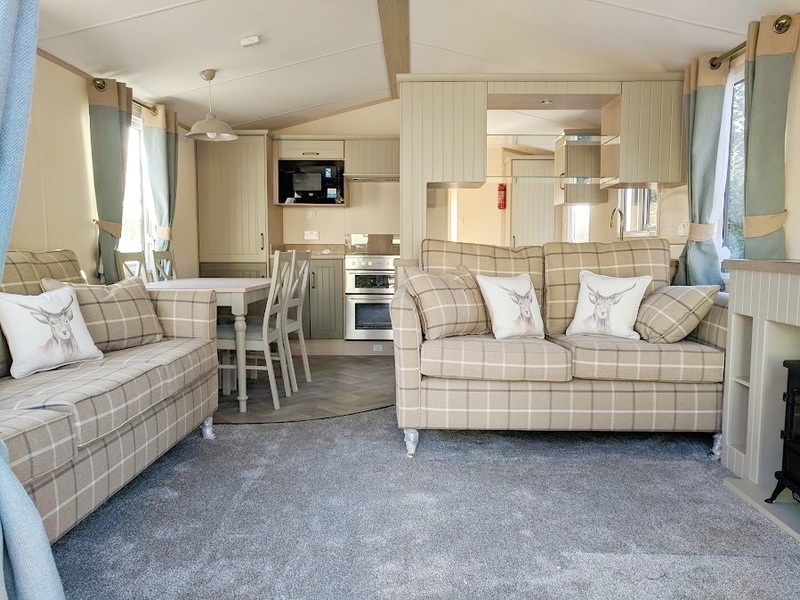 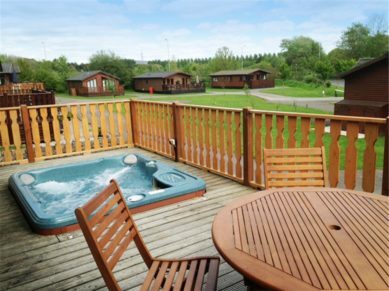 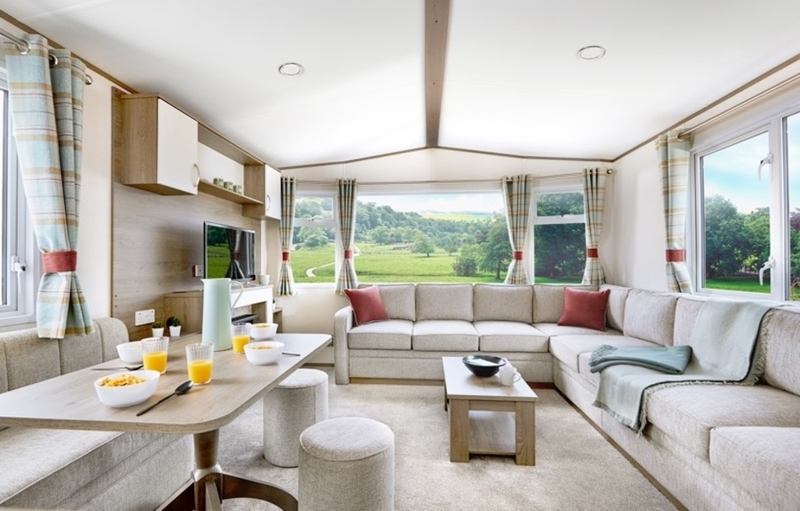 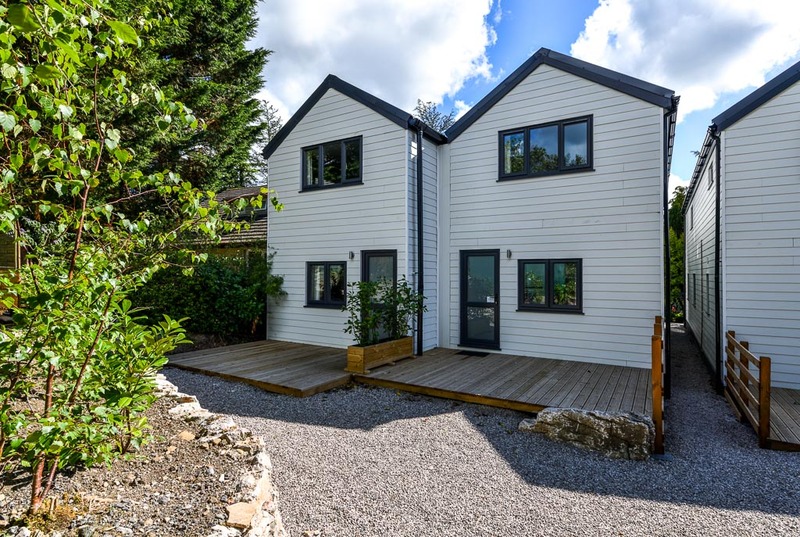 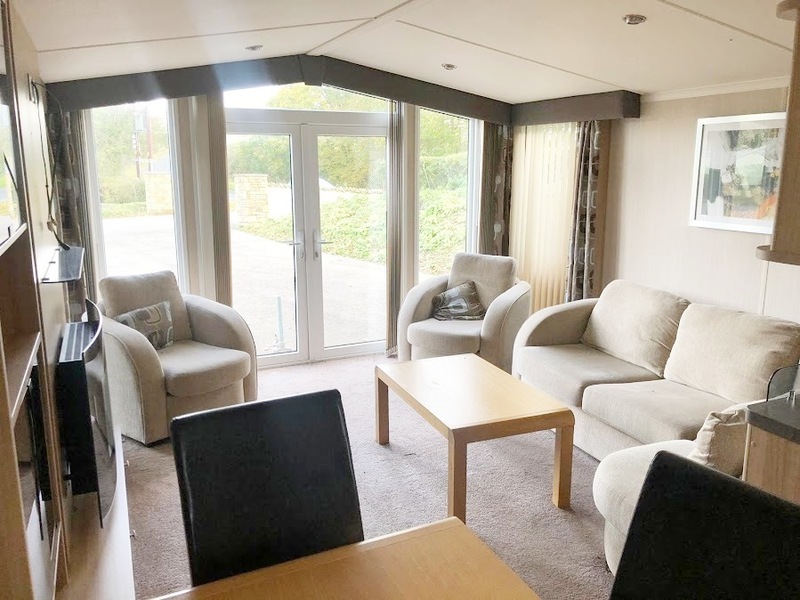 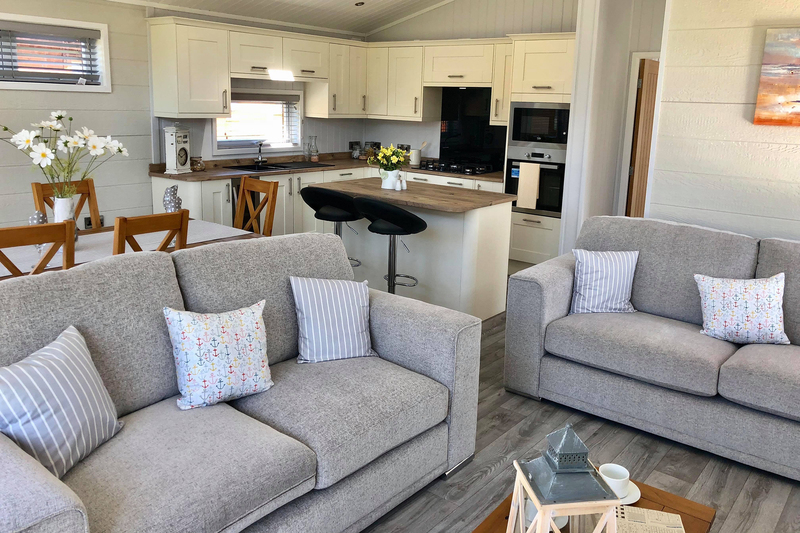 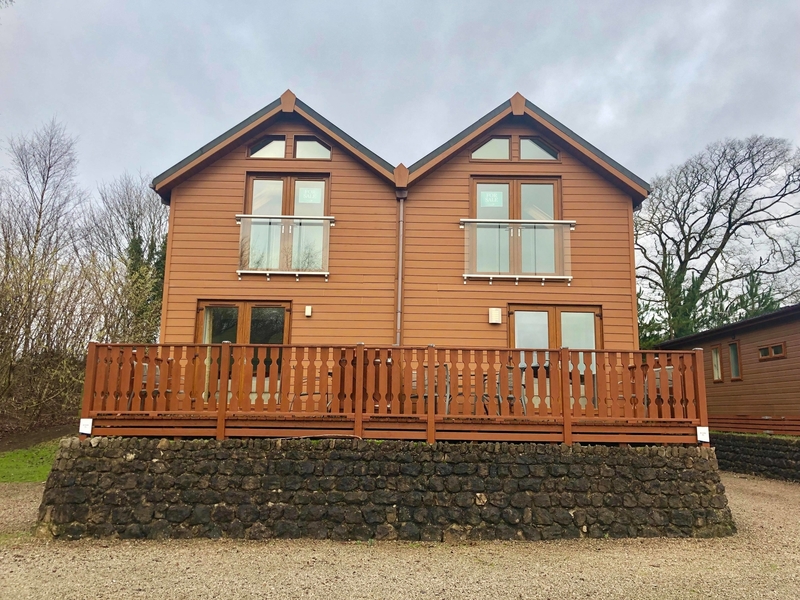 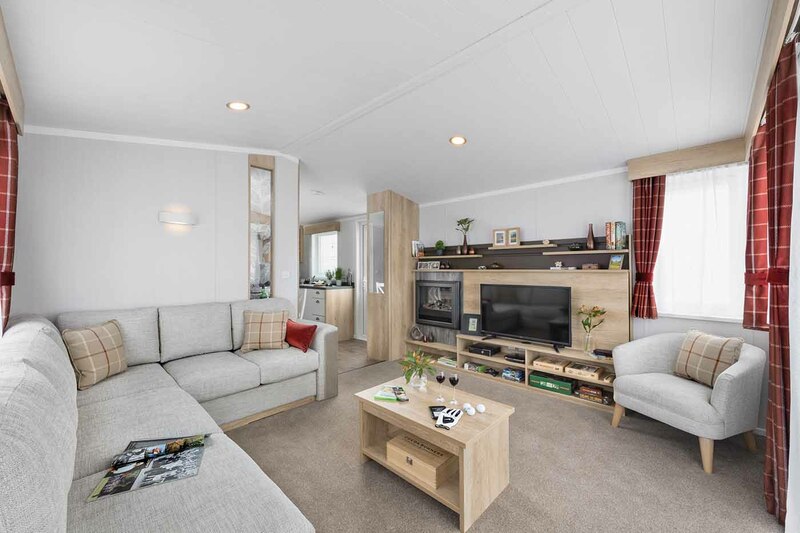 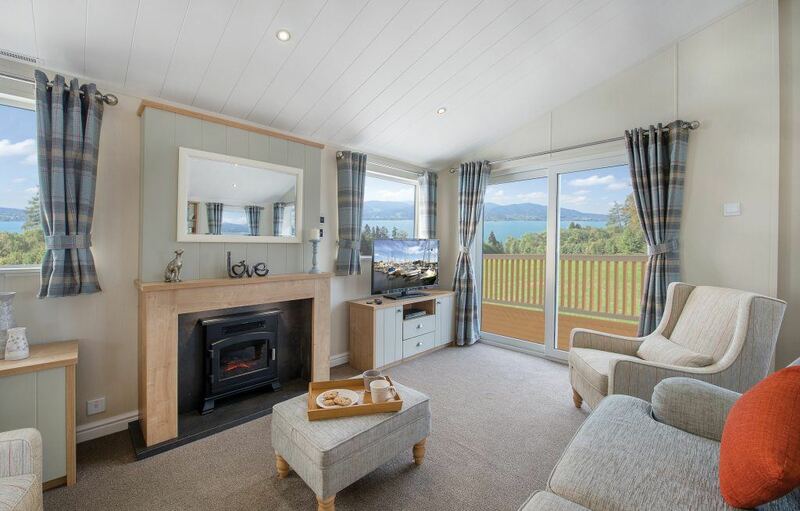 These modern, luxurious and relaxing lodges have their own decking area, double glazing and full central heating in addition to all the other creature comforts you would expect to find including a flatscreen tv and fully equipped kitchen. 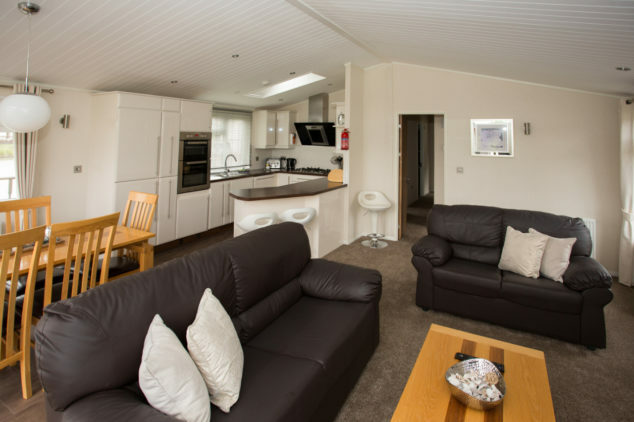 Our lake front lodge range offers the ultimate in self-catering accommodation. 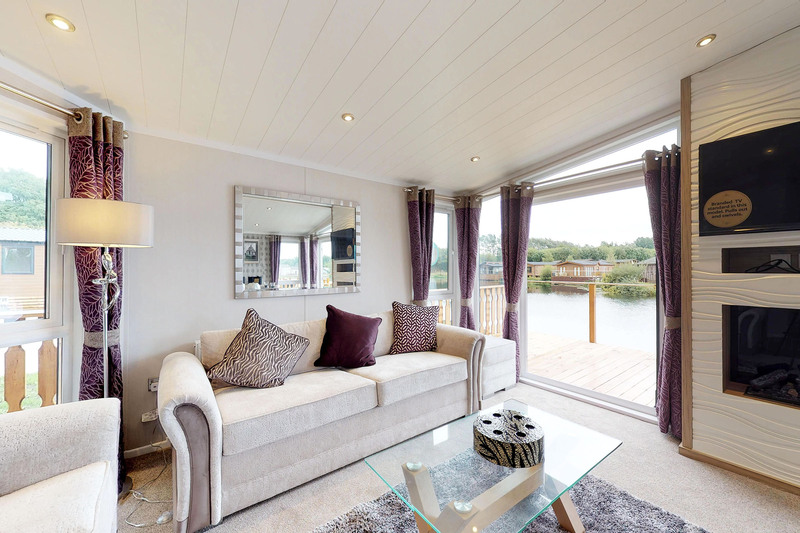 Enjoy large open plan living areas, stunning lake views and luxurious fixtures and fittings, including double glazing, an en-suite to the master bedroom, decking and extra-wide lodge sizes. 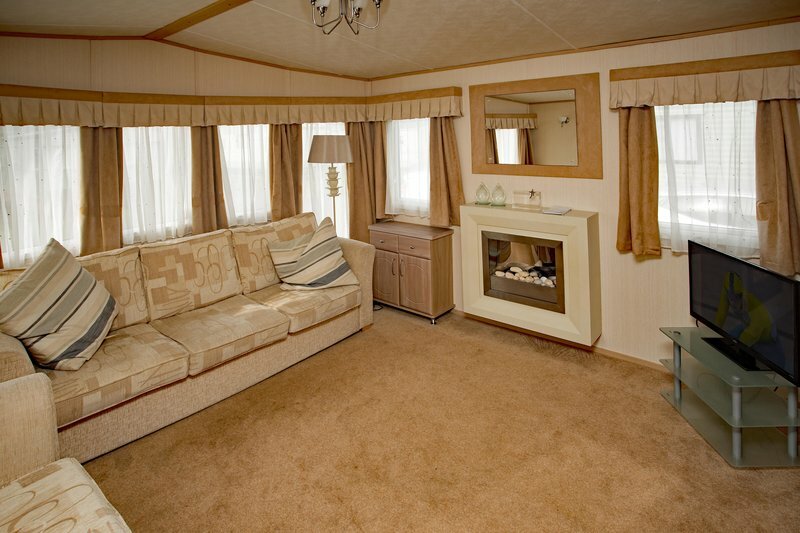 The perfect option if you prefer more space and luxury whilst on your holiday. 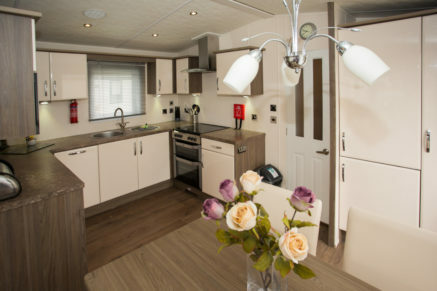 Our Platinum standard Lodges come with state of the art appliances giving you extreme comfort internally. 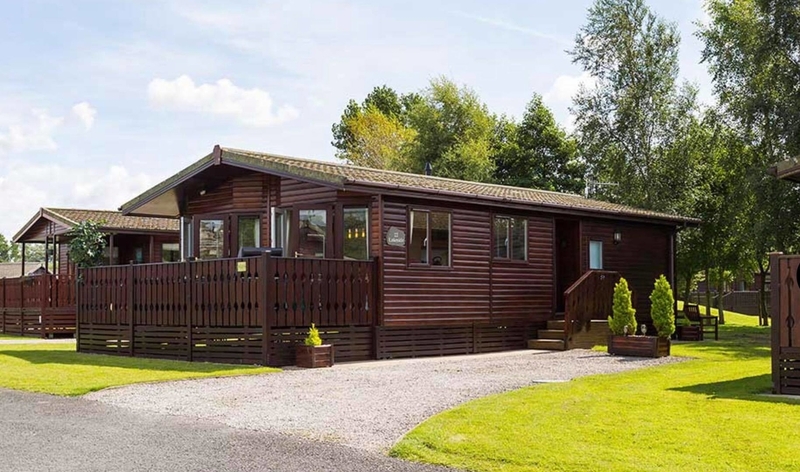 Externally you will enjoy breath taking views over the lake and the hills beyond. 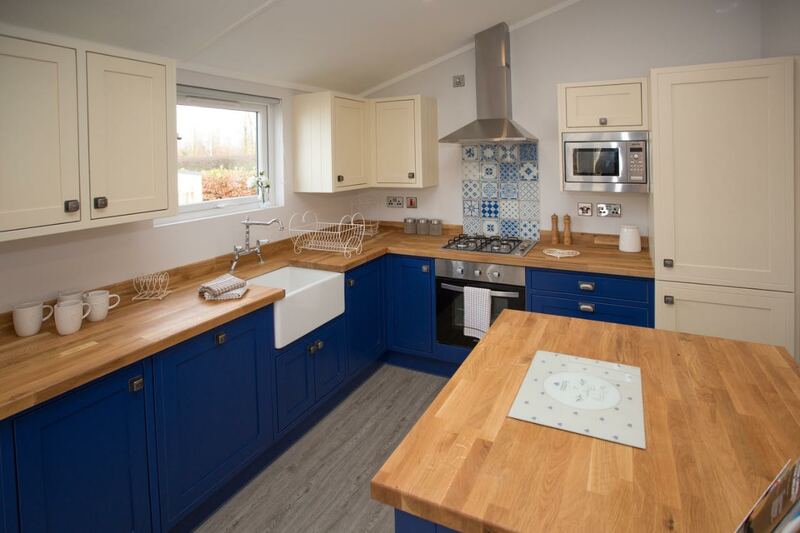 These lodges are fully equipped for self catering and outdoor dining. 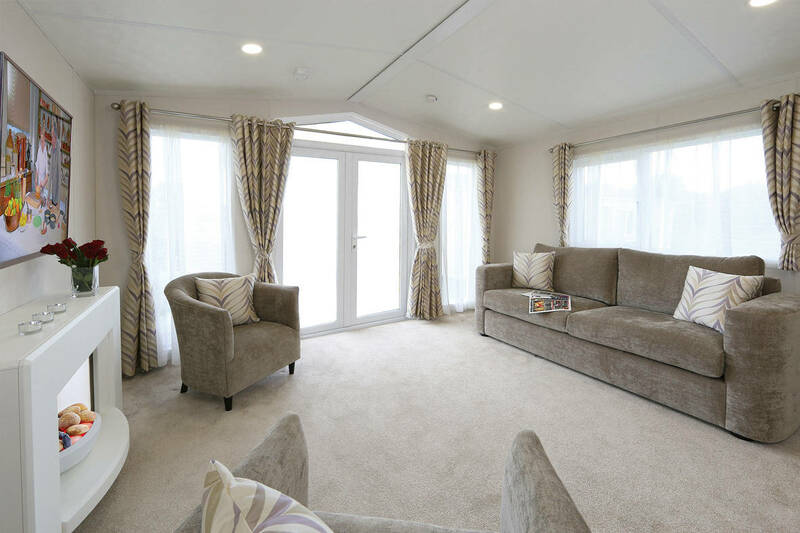 You have a choice of two, three or four bedrooms – double and twin, which means each bedroom can effectively sleep two people. 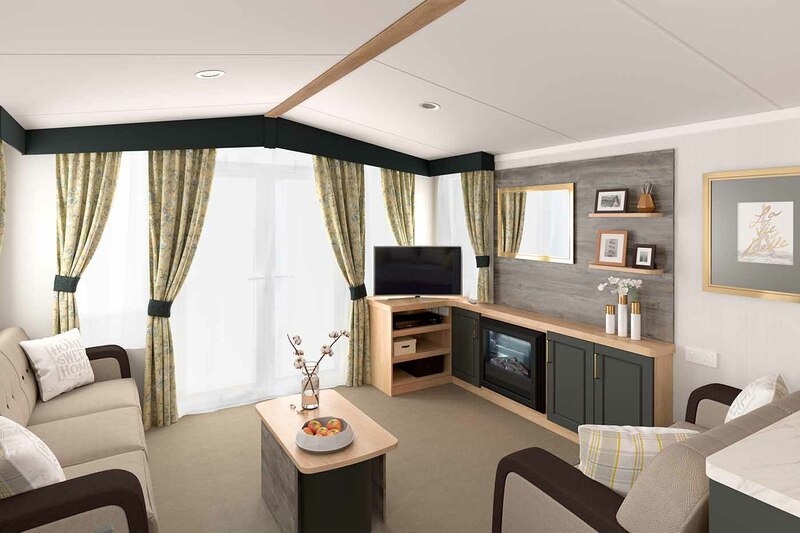 Your beds will be freshly made on your arrival, so you can be sure of crisp sheets and a great night’s sleep. 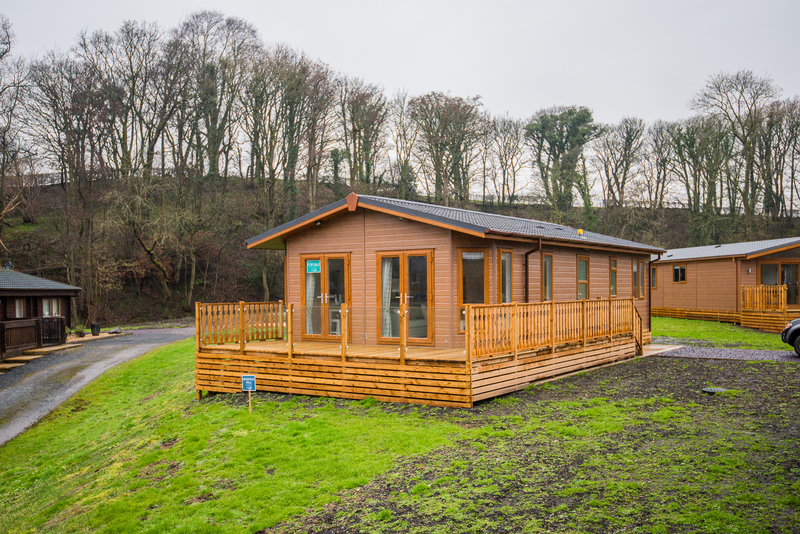 Many of the bedrooms have en-suite bathrooms too, for some added luxury. 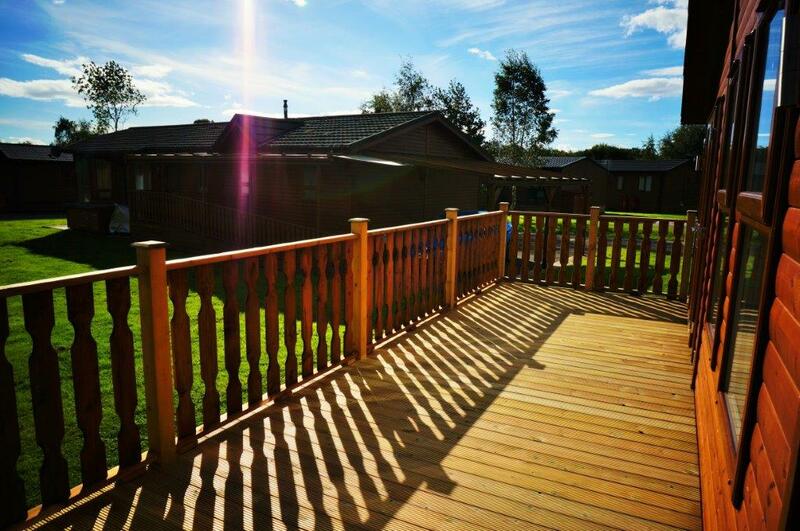 Our biggest lodges sleep up to eight people, so we like to think we can accommodate most families. 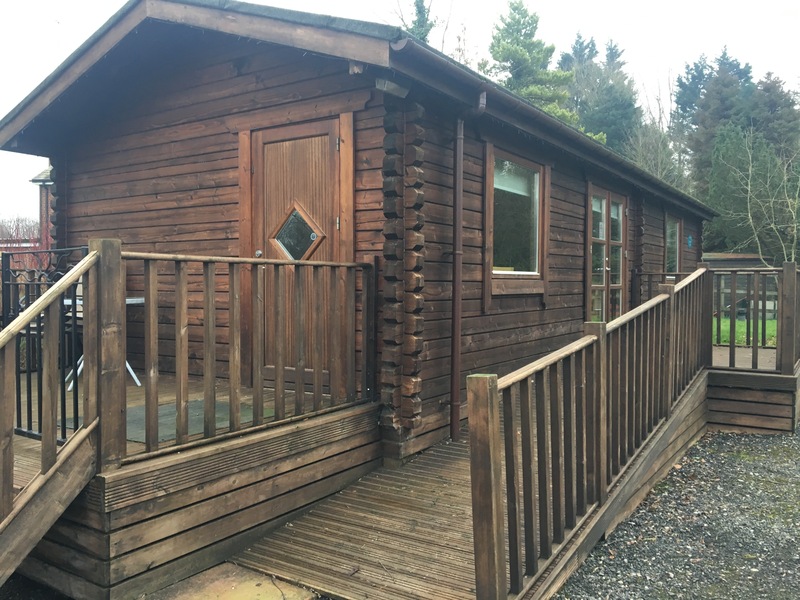 If you have an extra-large group, we’re sure we can arrange for you to stay in two lodges that are very close to each other. 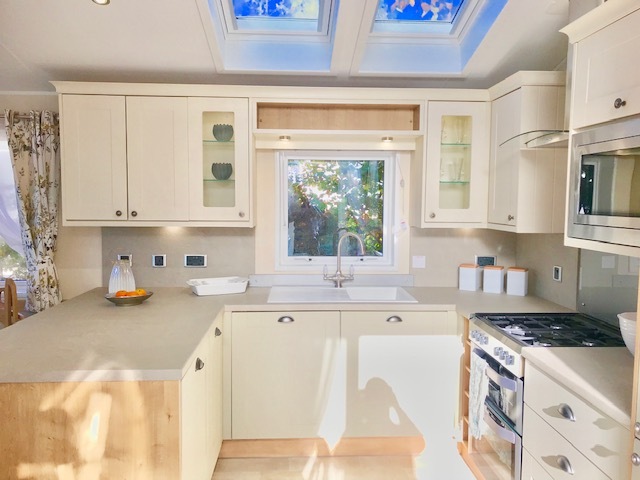 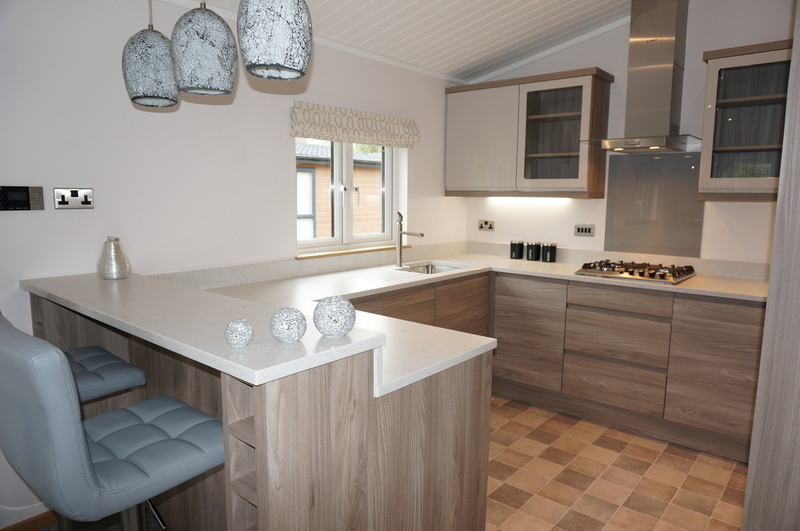 You’ll have a fully-equipped kitchen and an open-plan living area, which will allow you to really make the most of your family time. 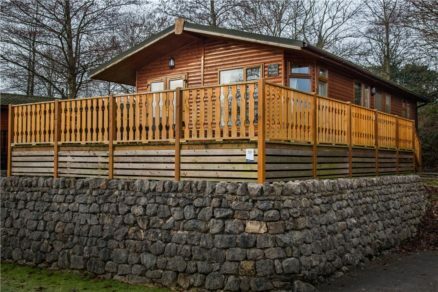 If you have a dog, or several, feel free to bring them along too – all our parks are pet-friendly and welcome your furry family members (we have a selection of pet-friendly lodges). 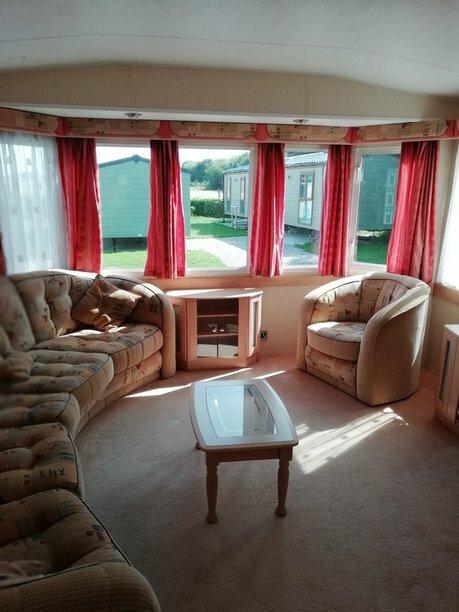 Spend your time here however you like. 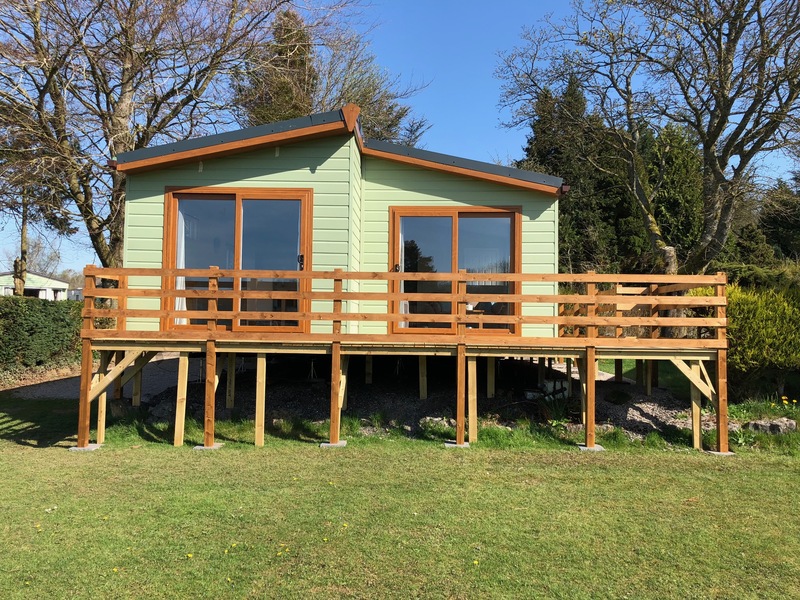 Naturally, we’d recommend enjoying the outdoors and taking in the stunning scenery, but we encourage you to do it your way. 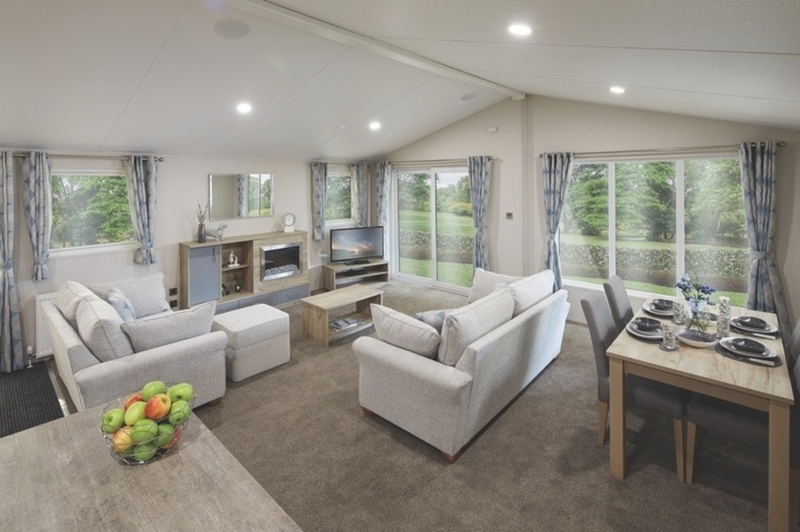 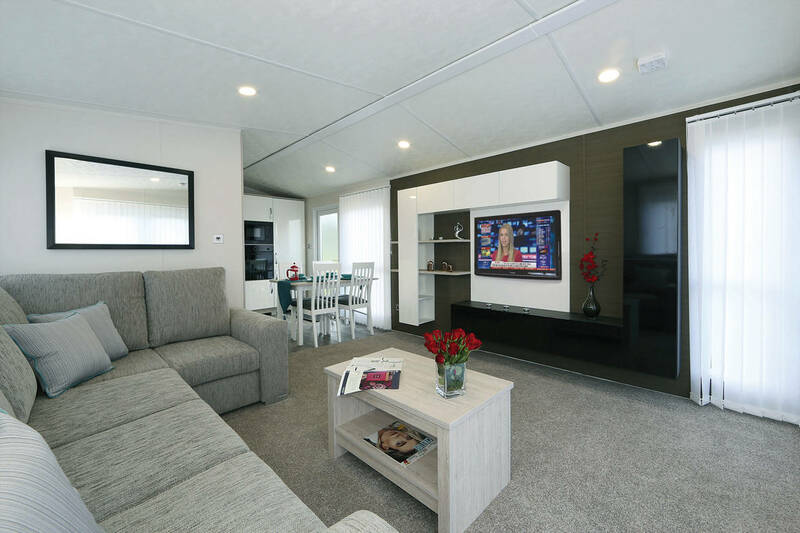 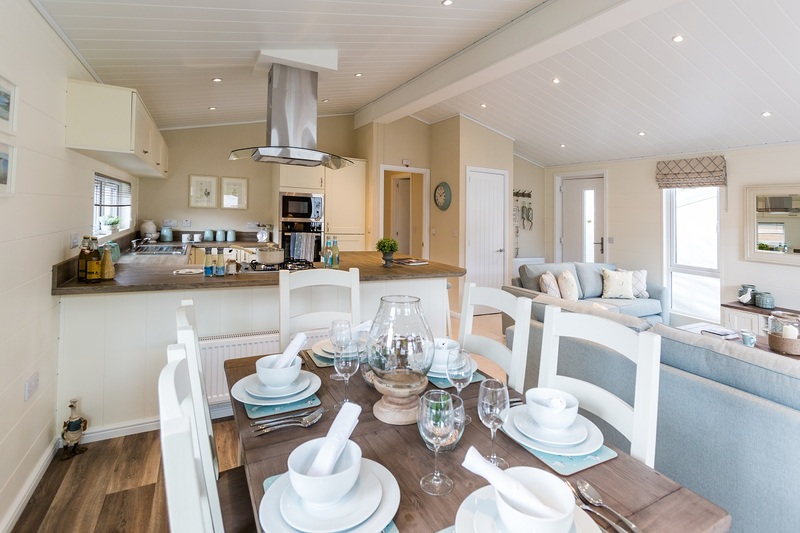 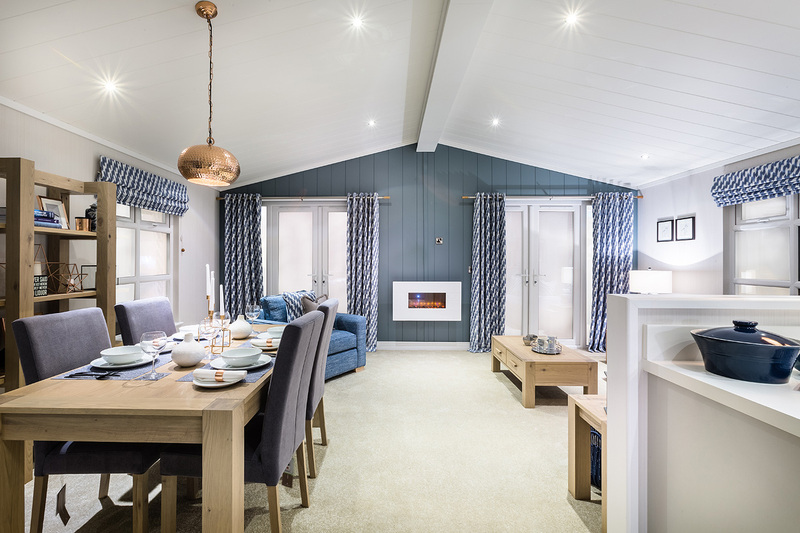 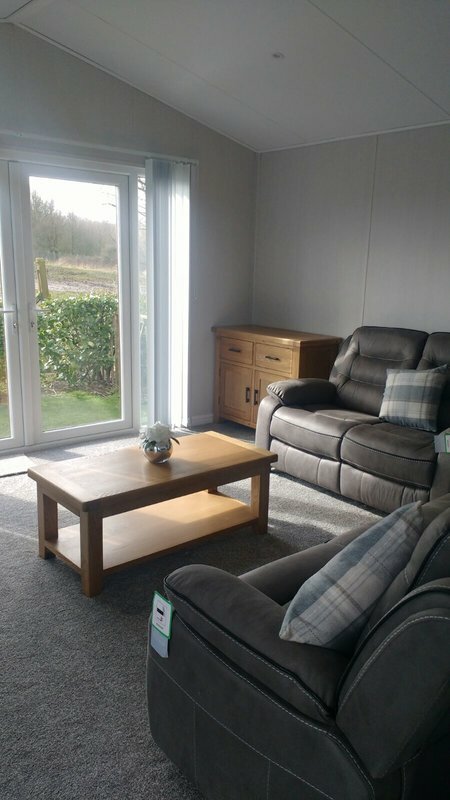 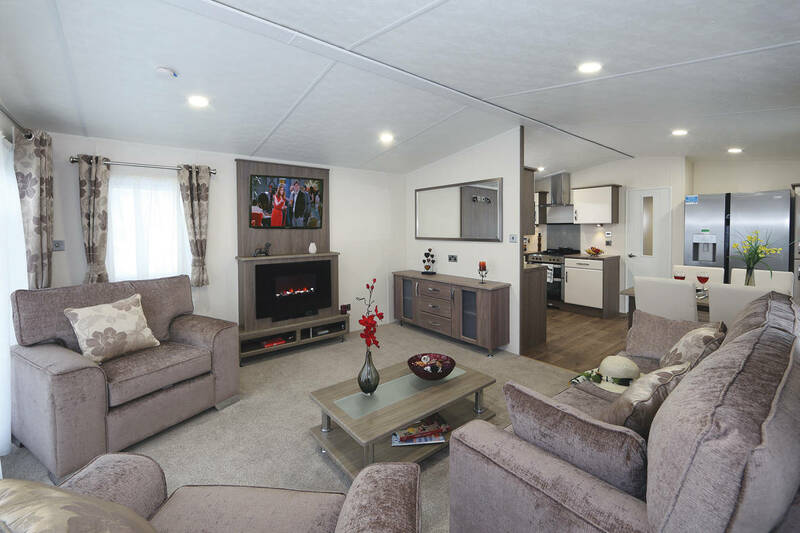 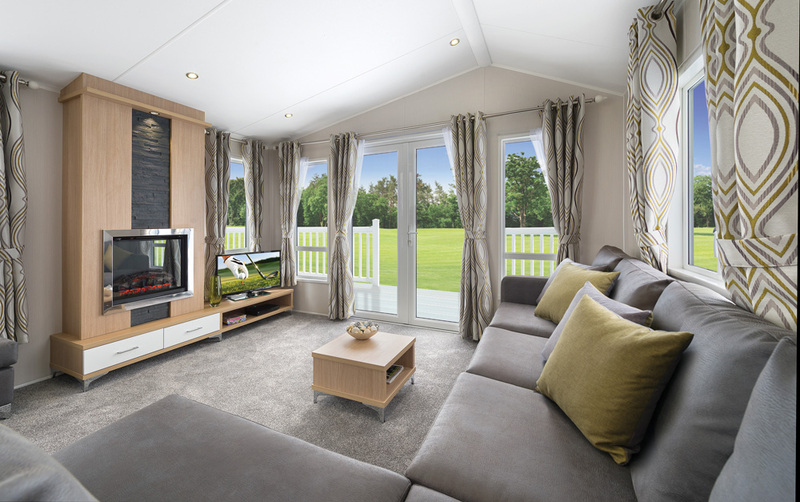 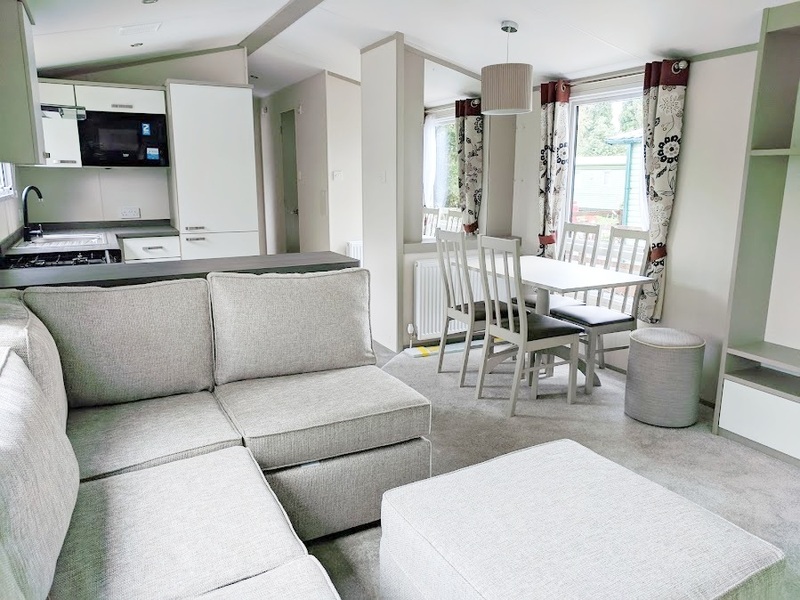 We’ve made sure the lodges are equipped for indoor fun – with homely furniture and seating, a TV, a DVD player and a CD player, you’ll have everything you need for a family night in. 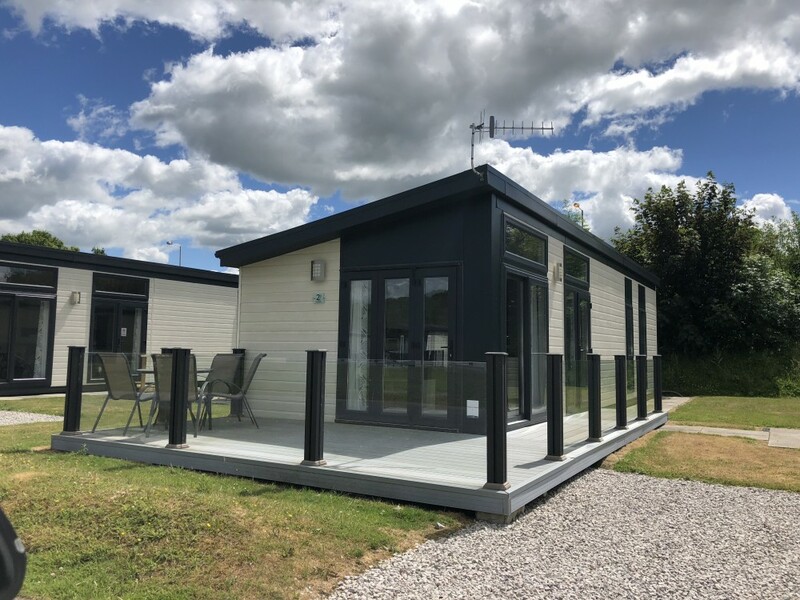 Selected lodges have decking and furniture, so if the weather’s pleasant you can sit outside and enjoy a meal or a drink together. 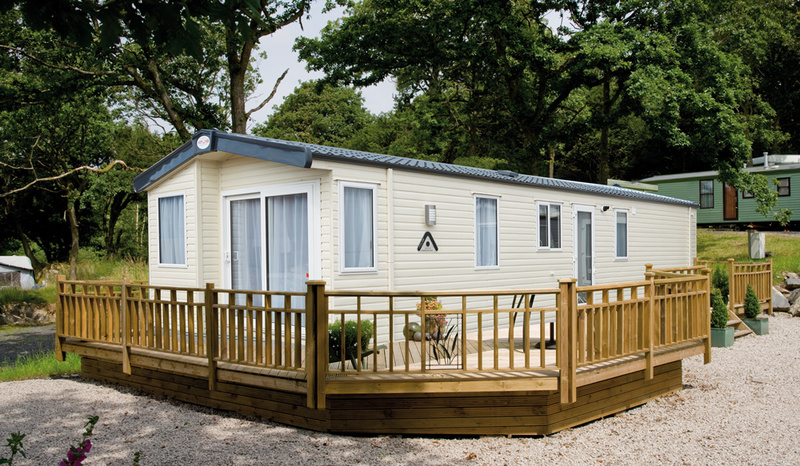 You can book your holiday online or over the phone (01524 917311). 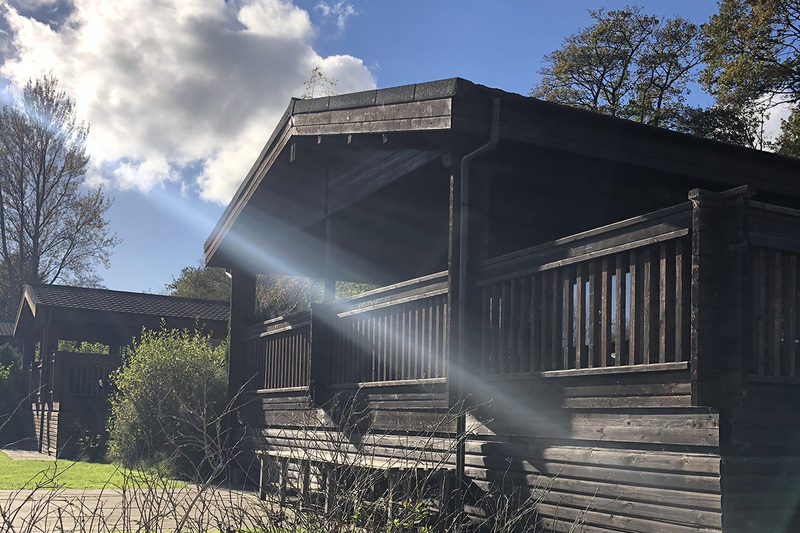 If you’d like any more information on any of our parks or want to know more about the different lodge options, just give us a call on the above number and we’ll clarify everything. 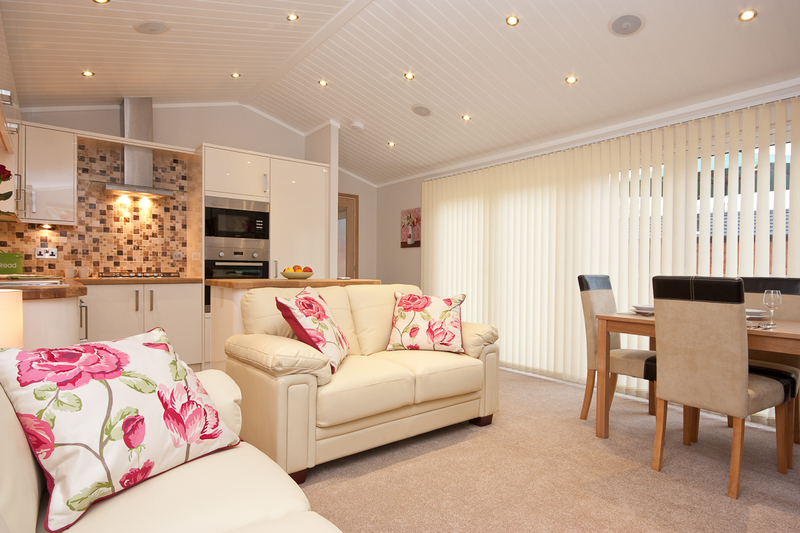 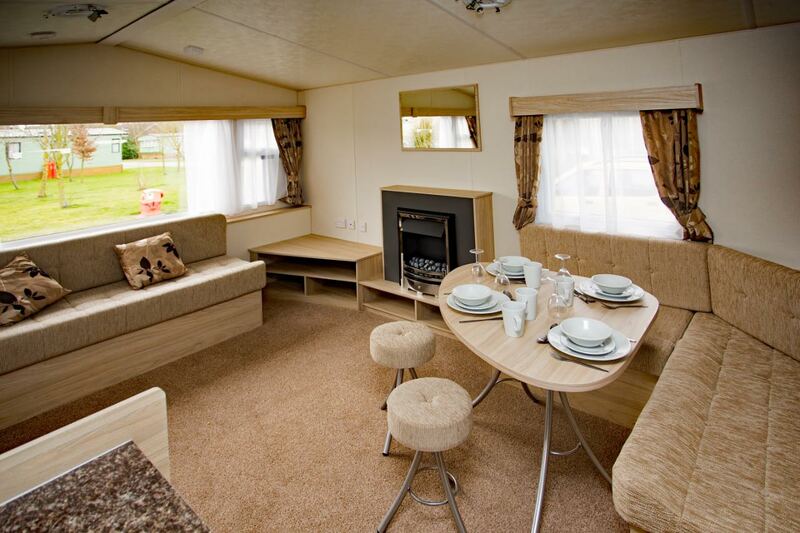 Lodge images are representative of the typical standard of our hire fleet accommodation and vary across our parks. Layouts and interiors will vary.